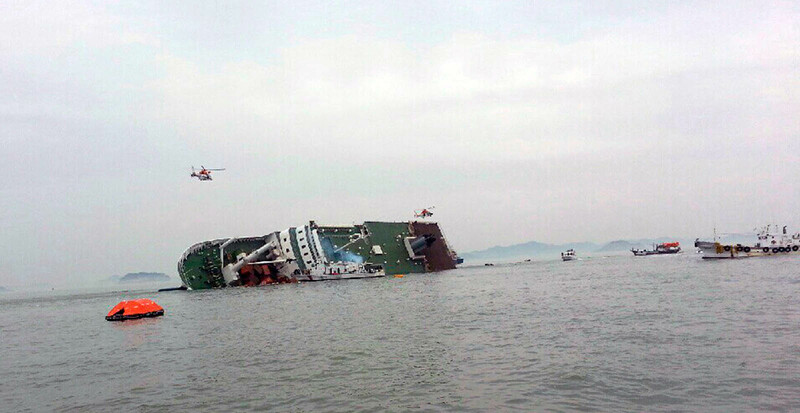 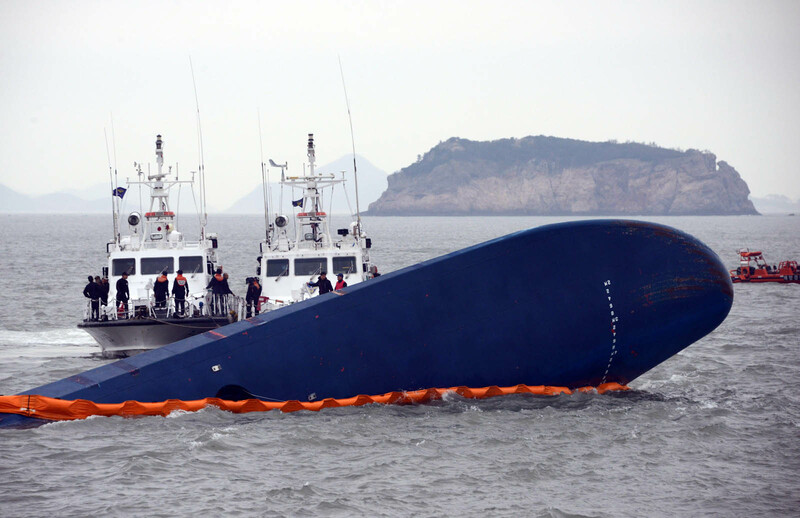 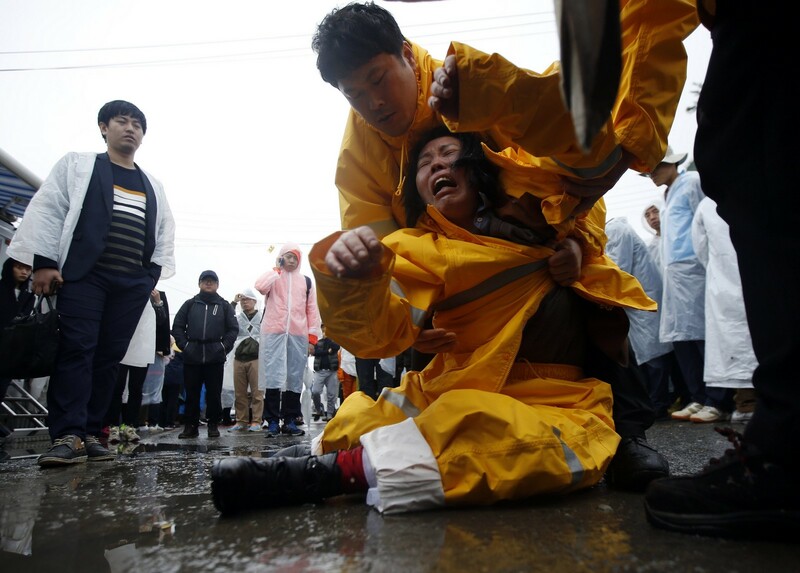 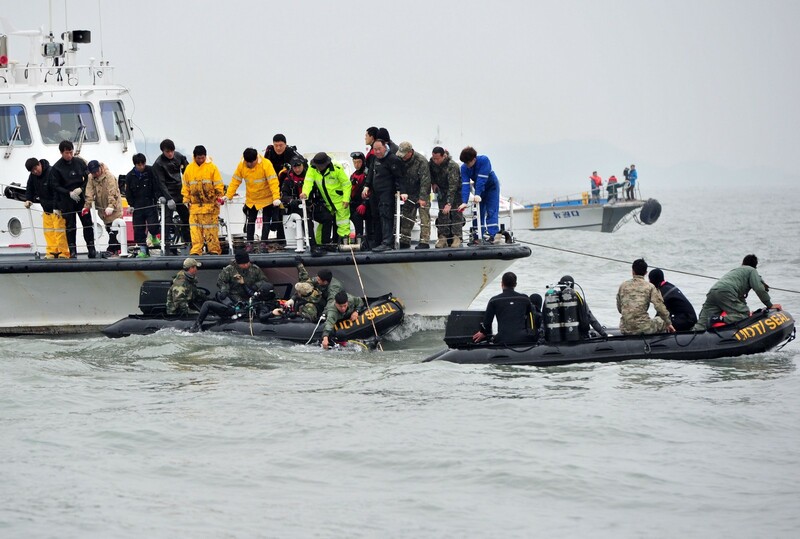 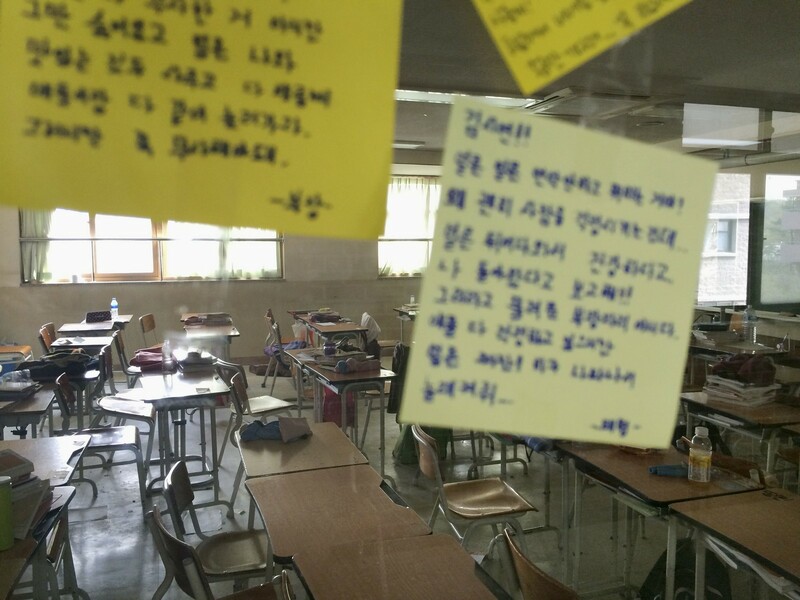 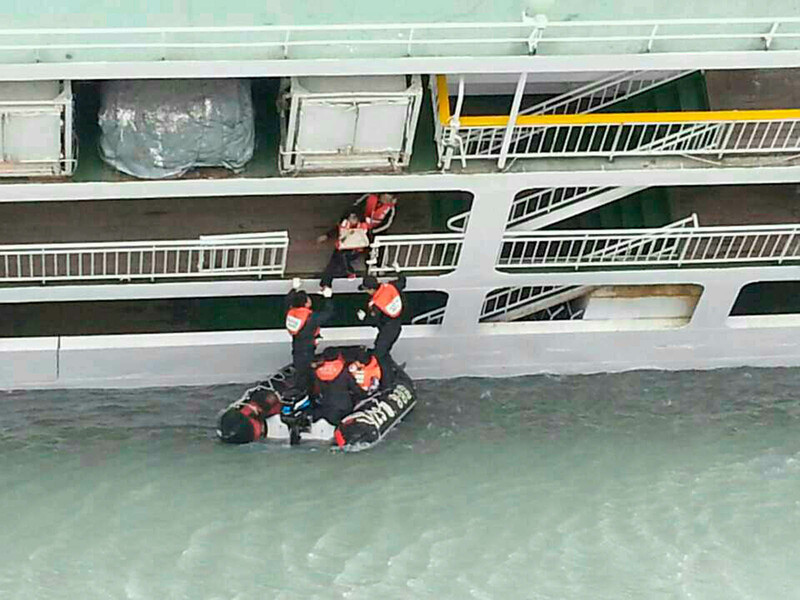 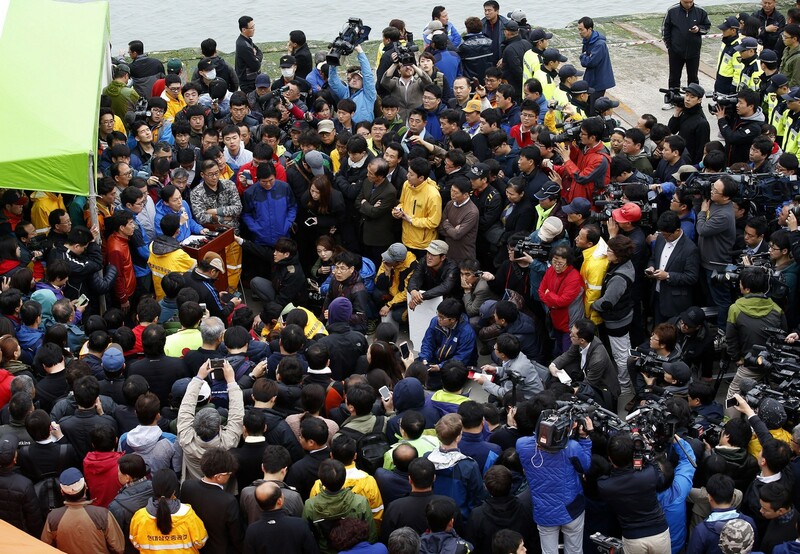 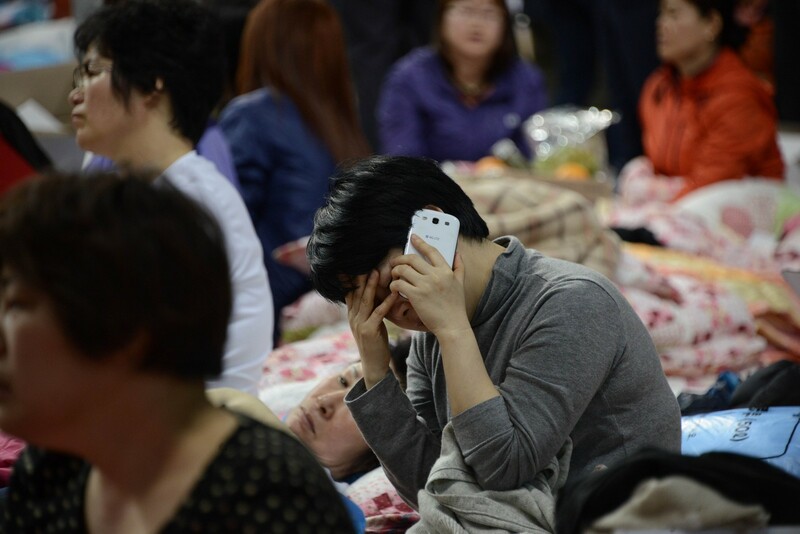 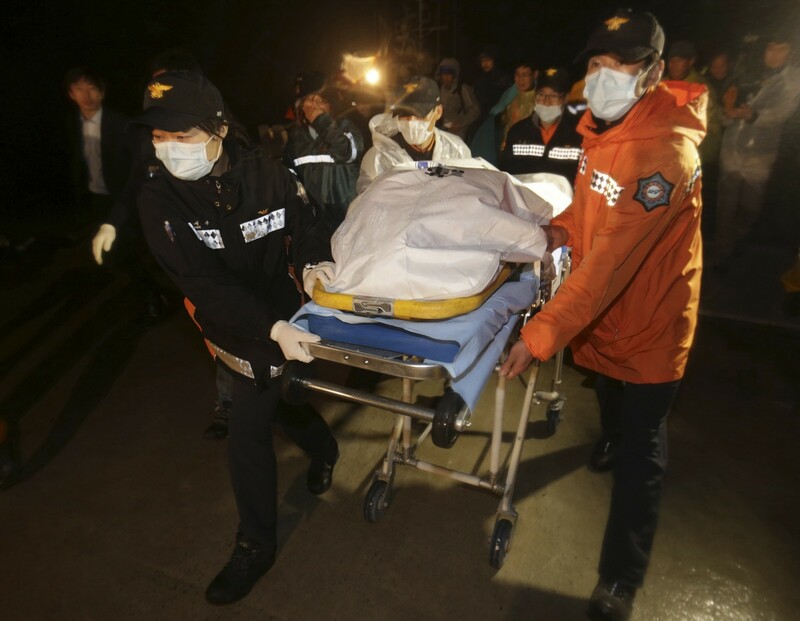 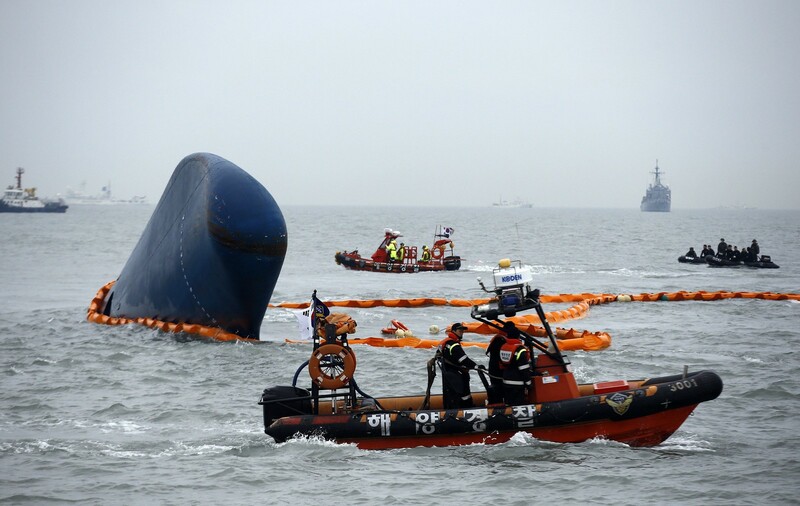 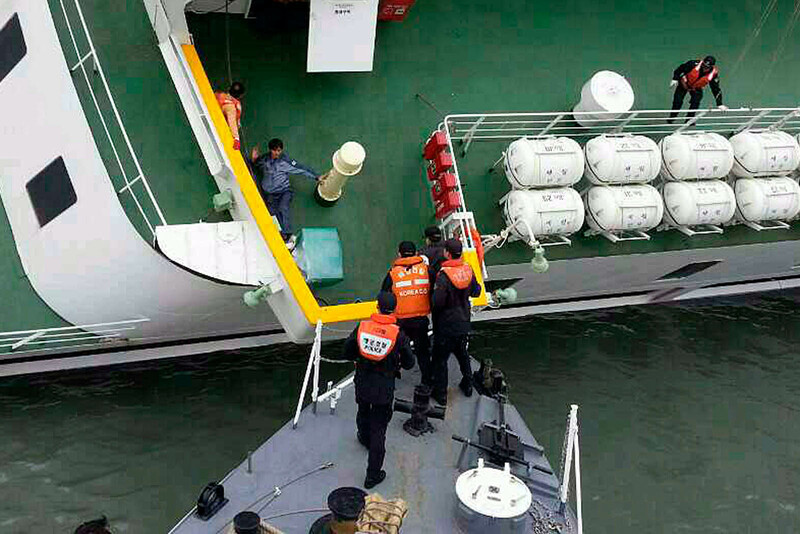 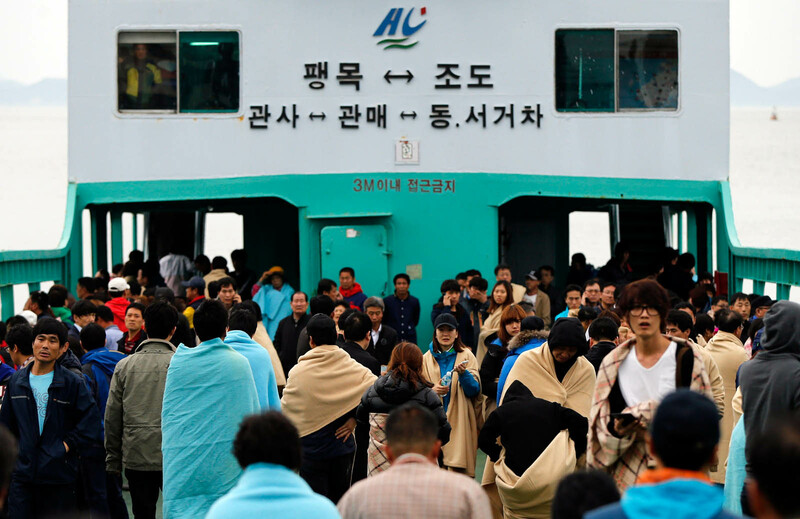 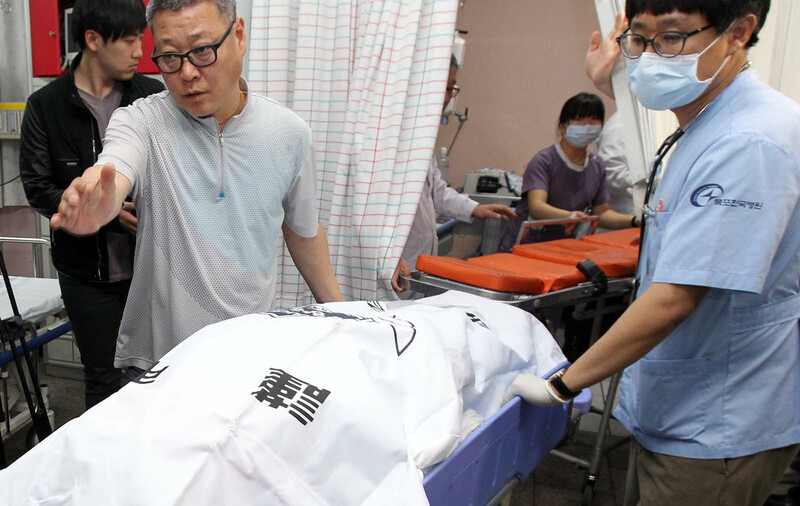 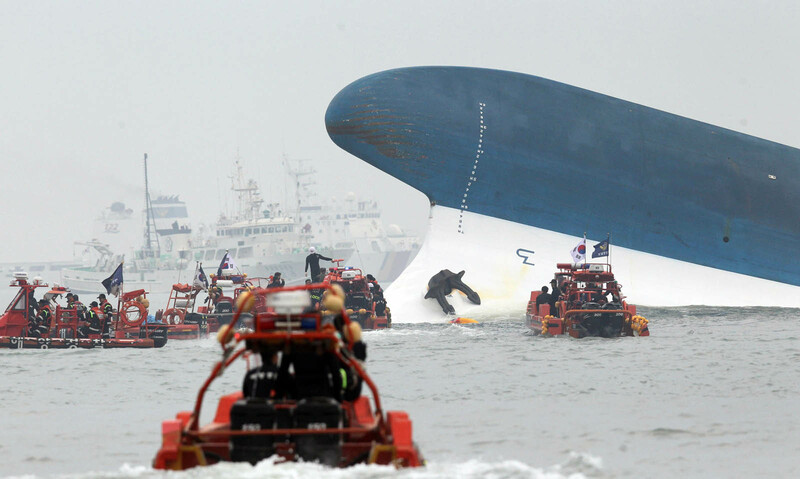 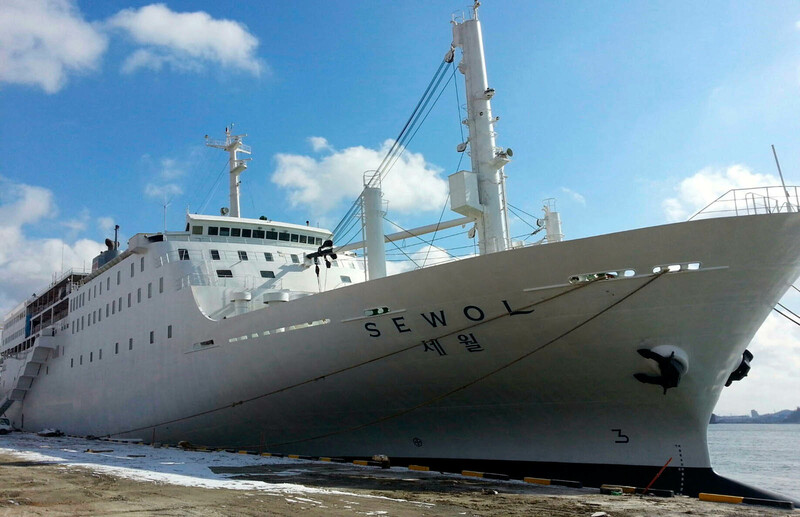 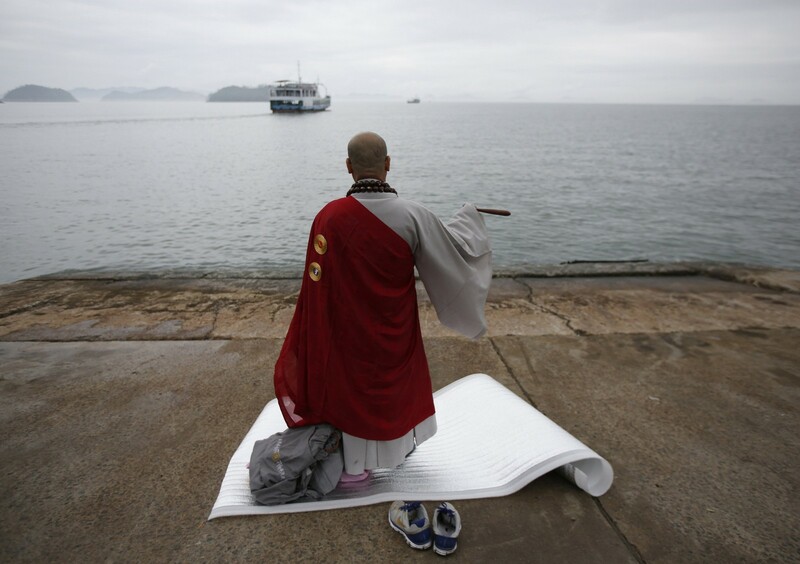 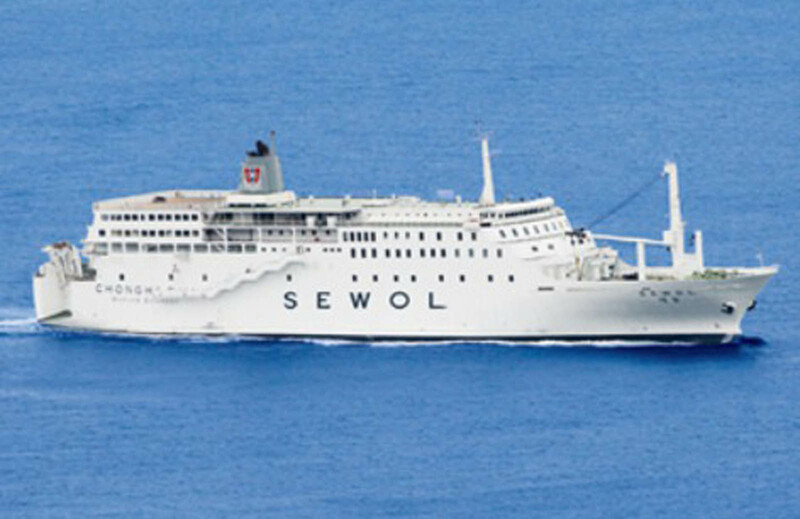 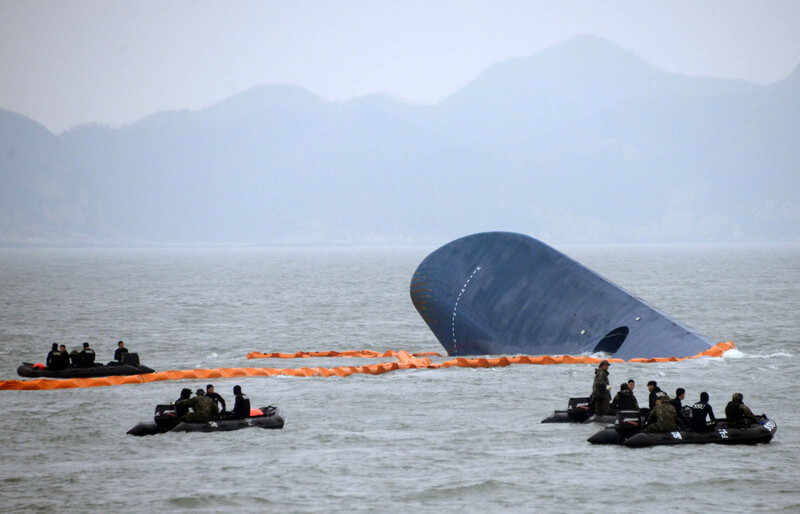 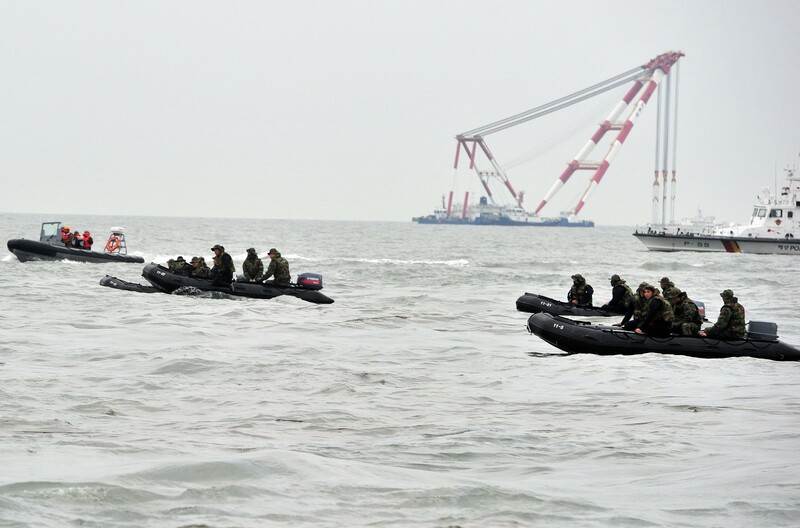 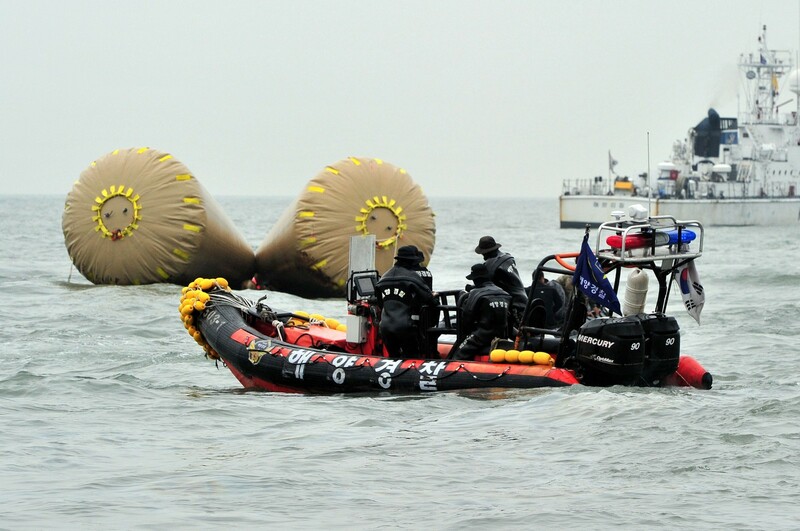 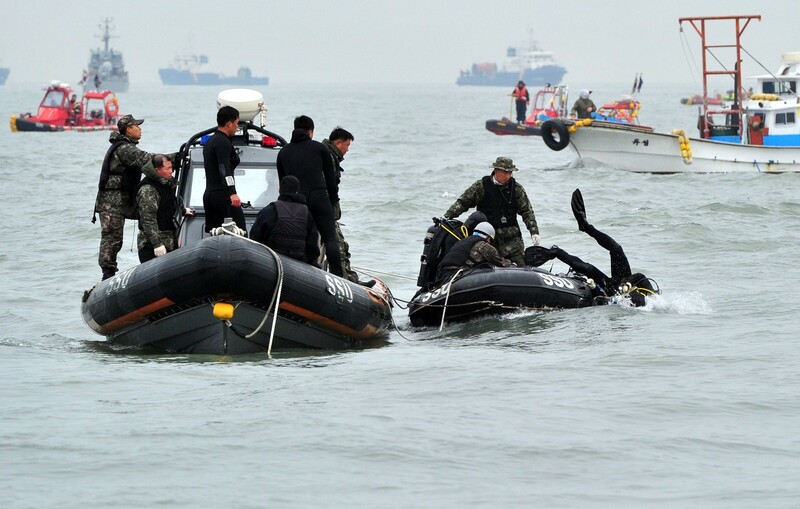 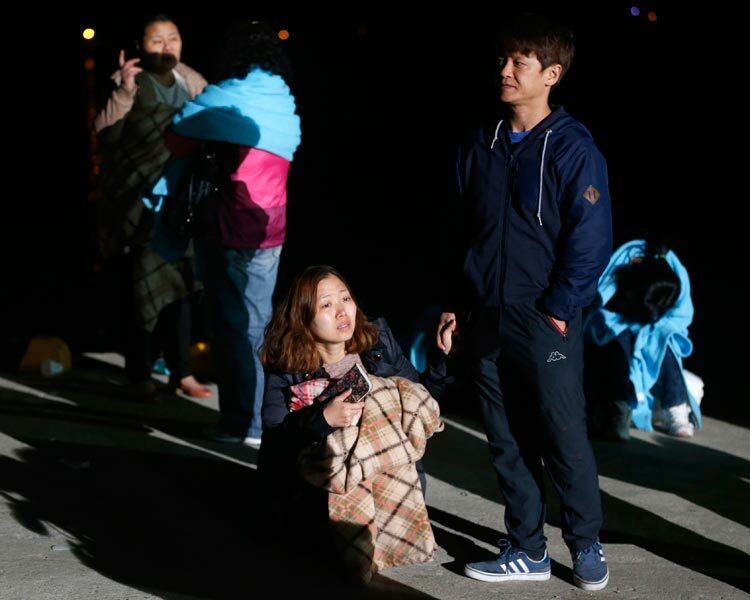 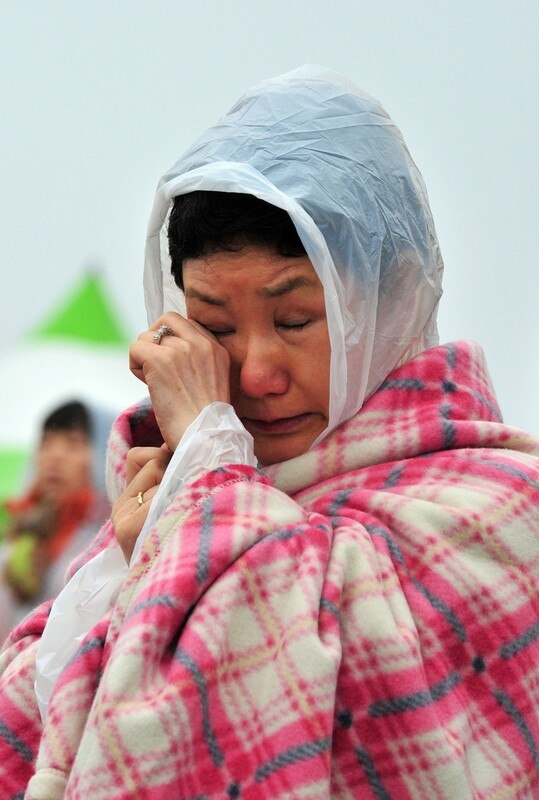 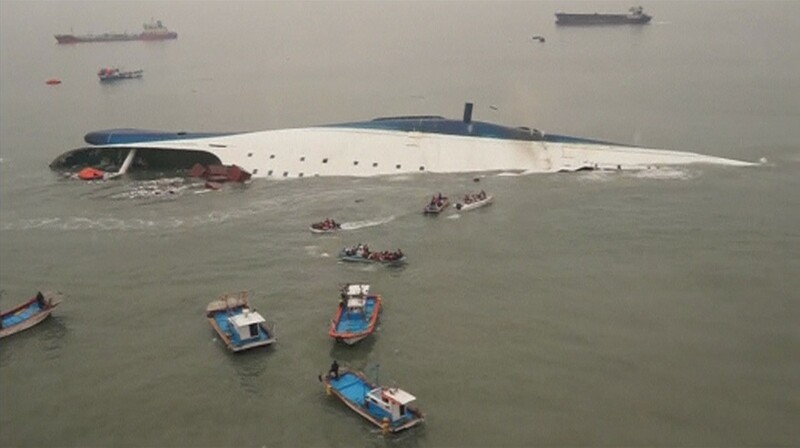 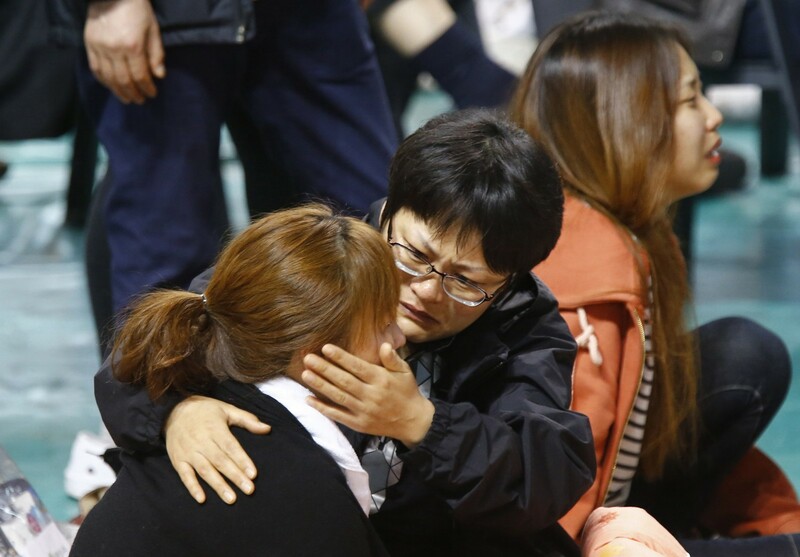 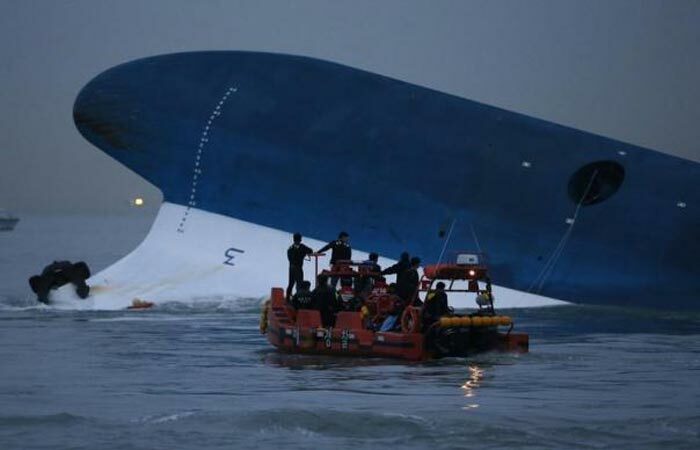 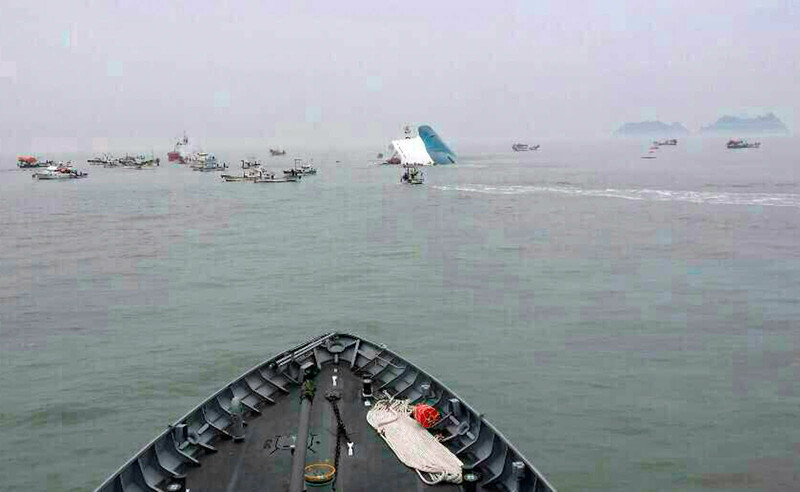 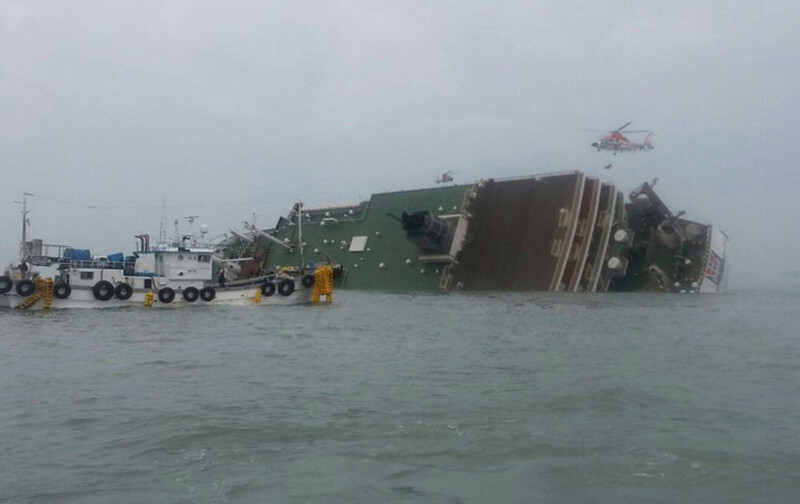 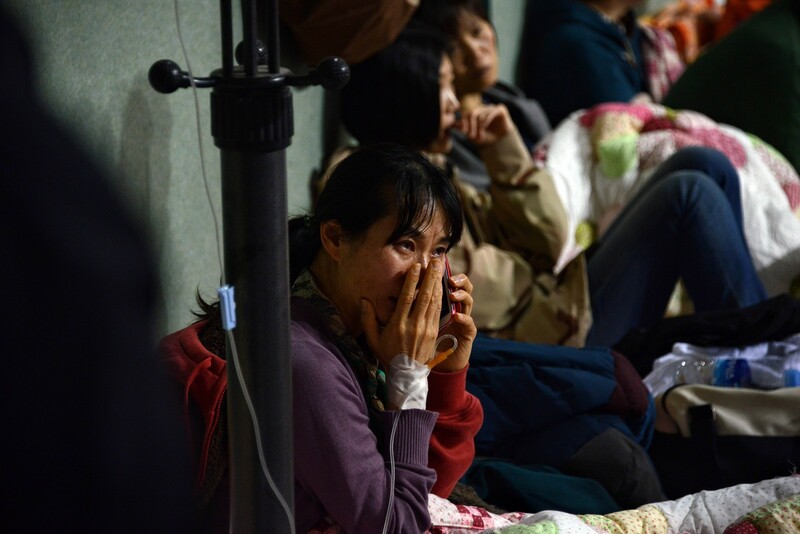 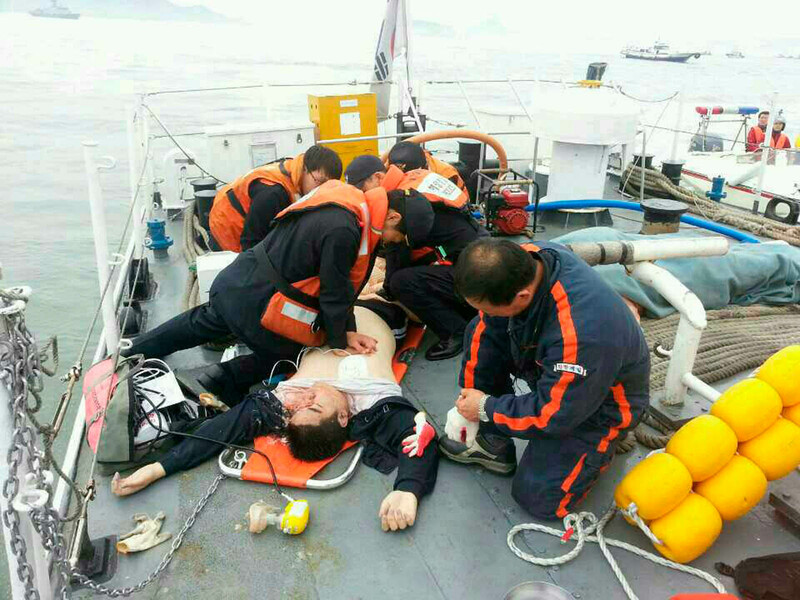 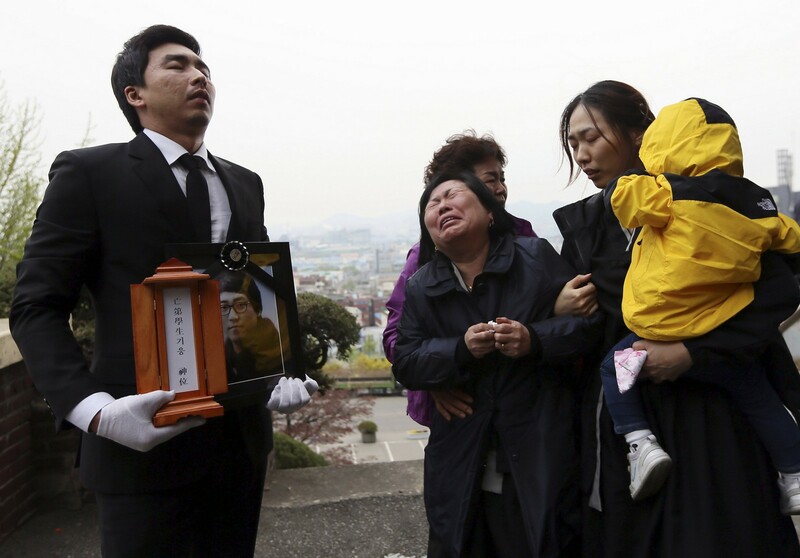 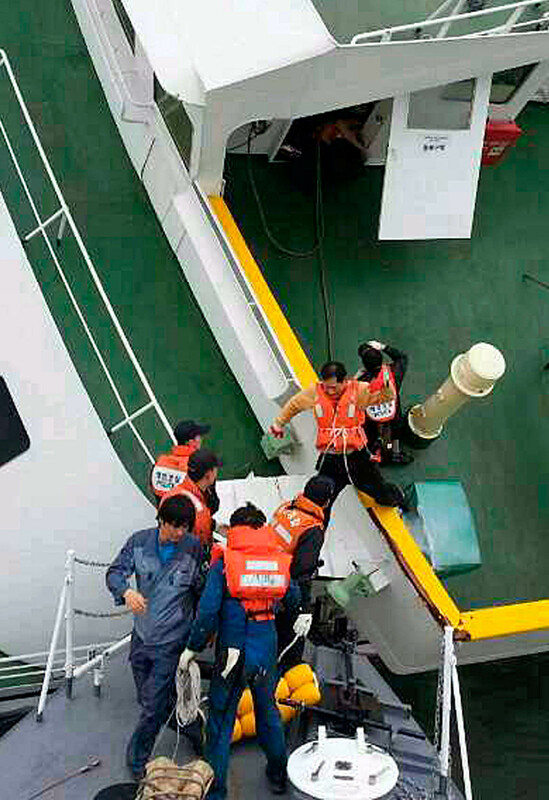 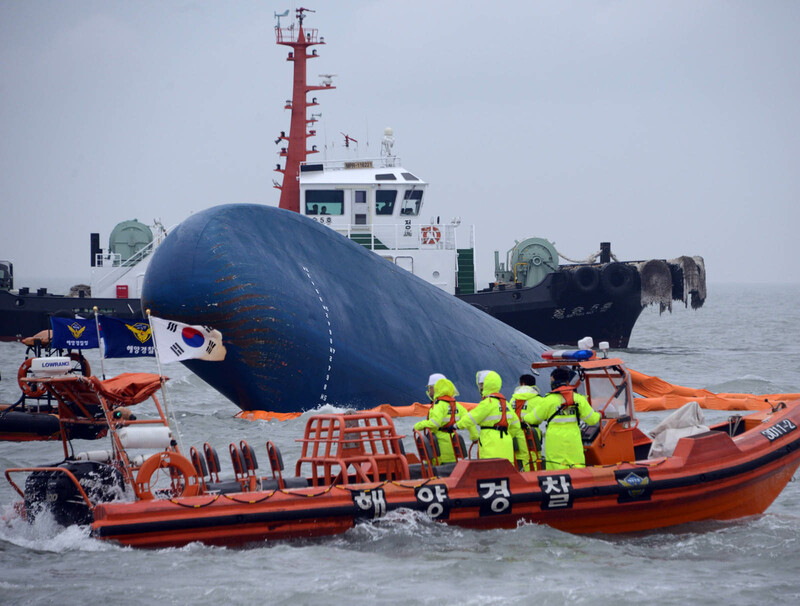 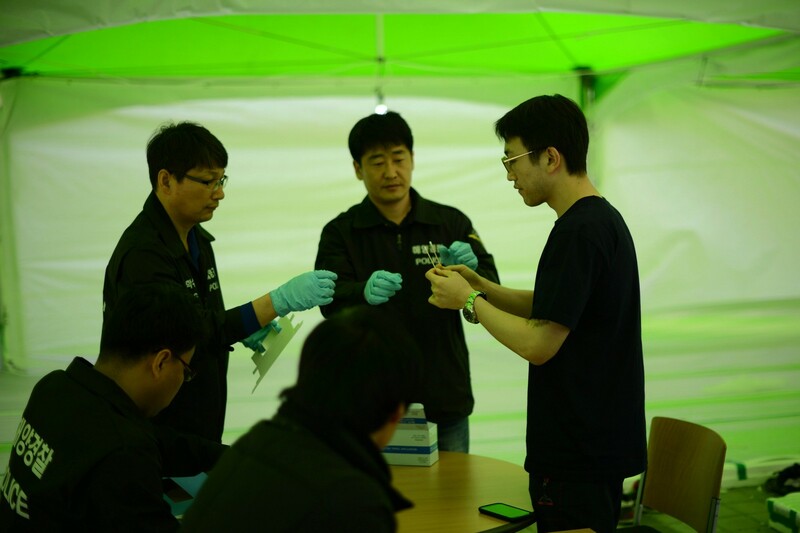 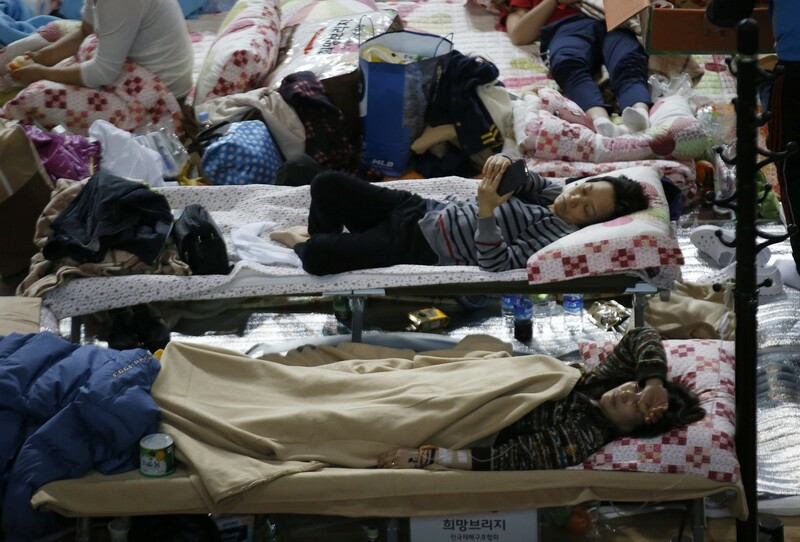 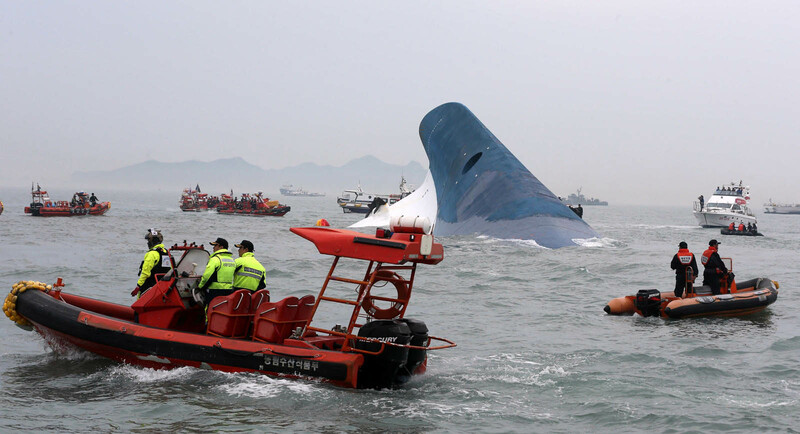 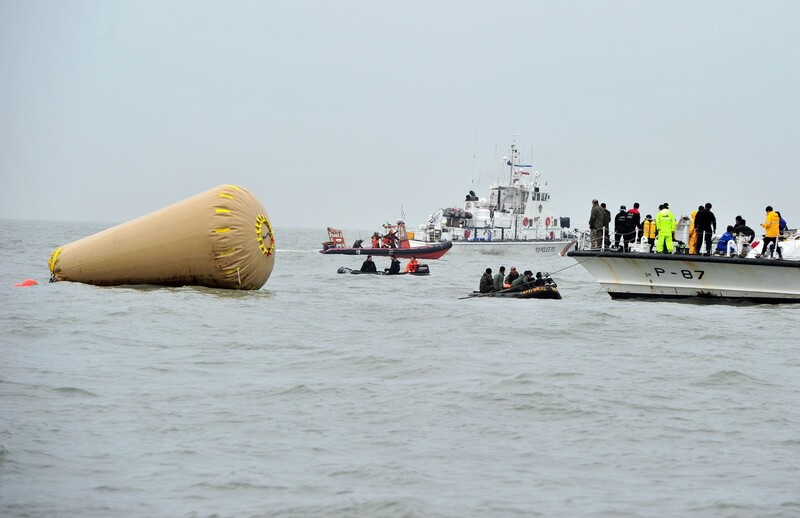 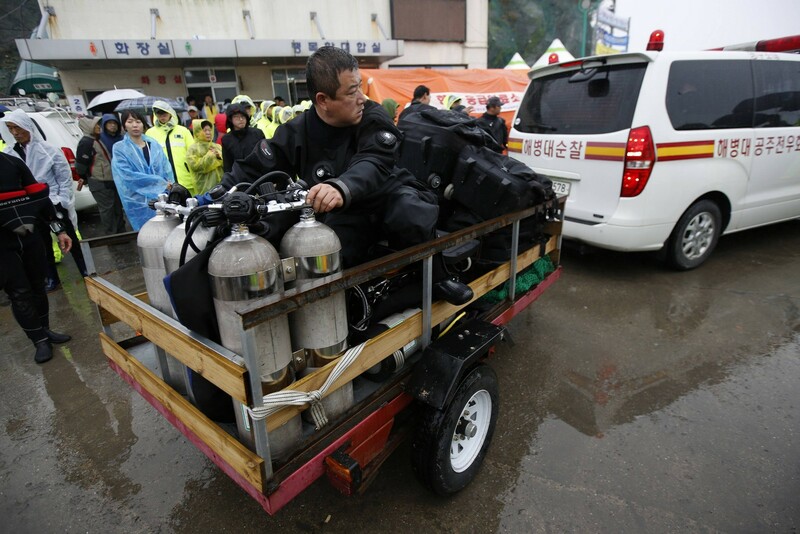 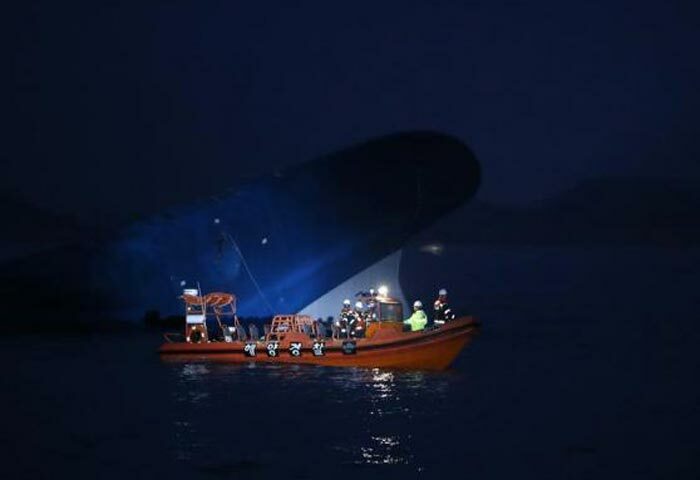 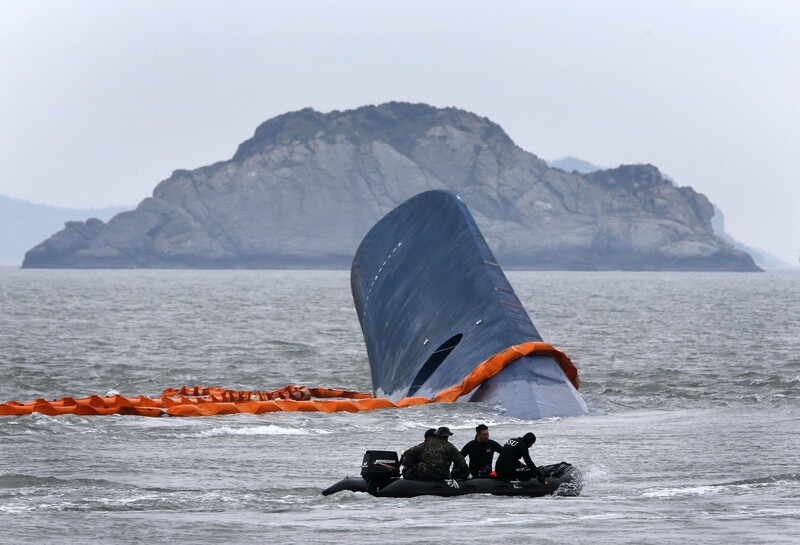 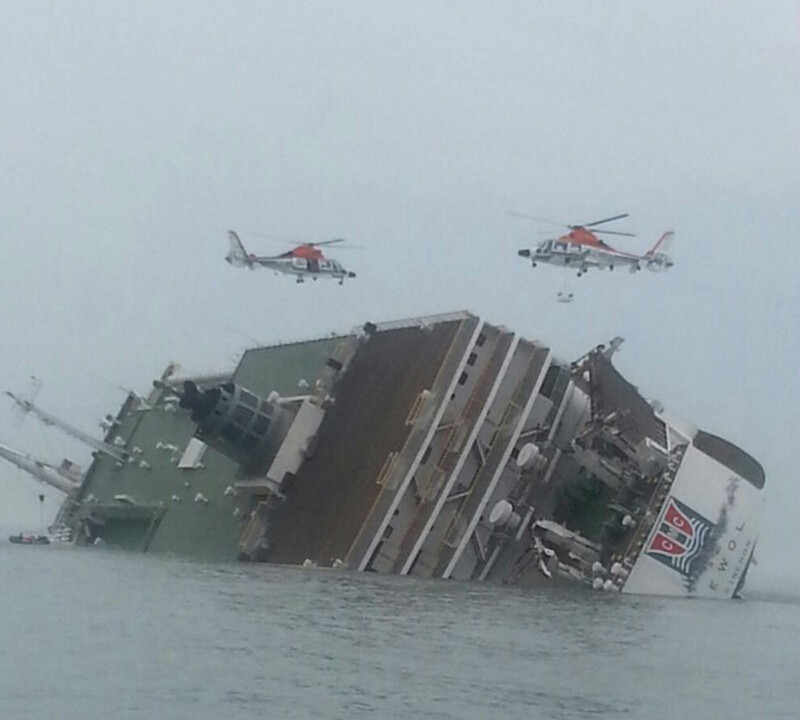 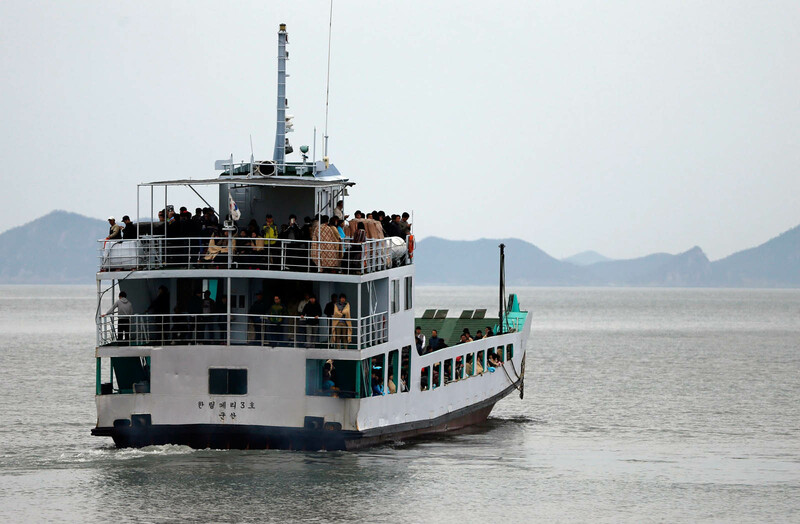 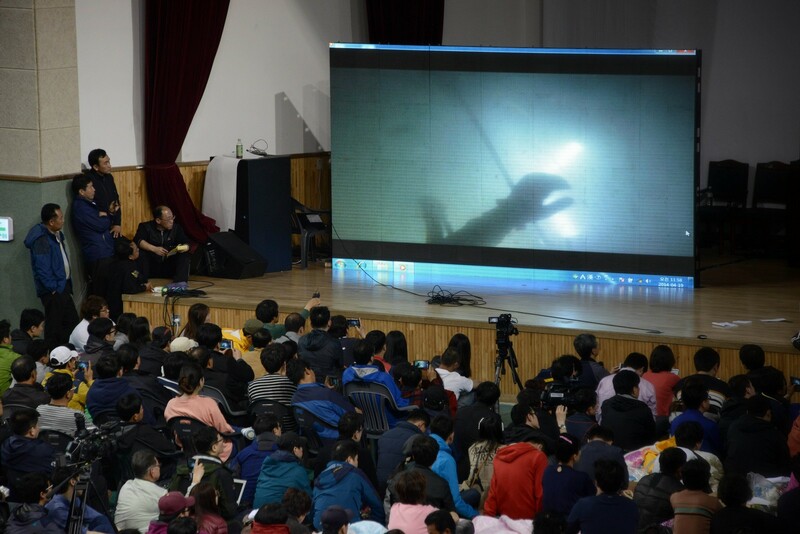 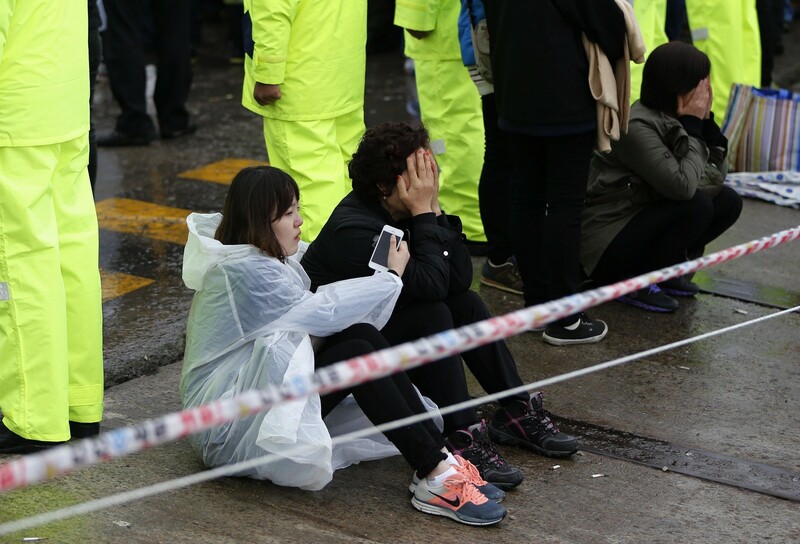 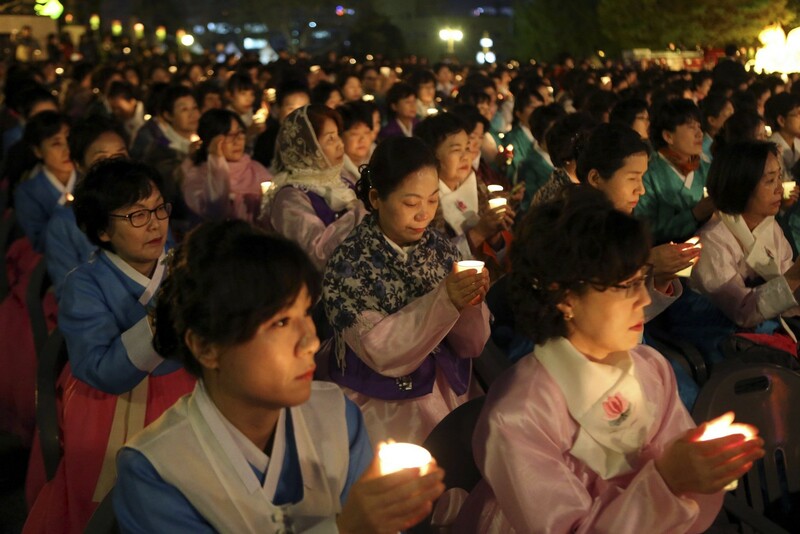 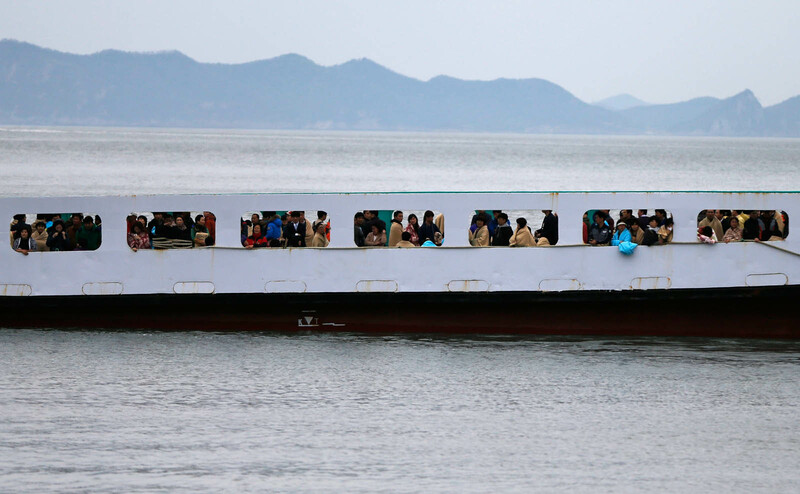 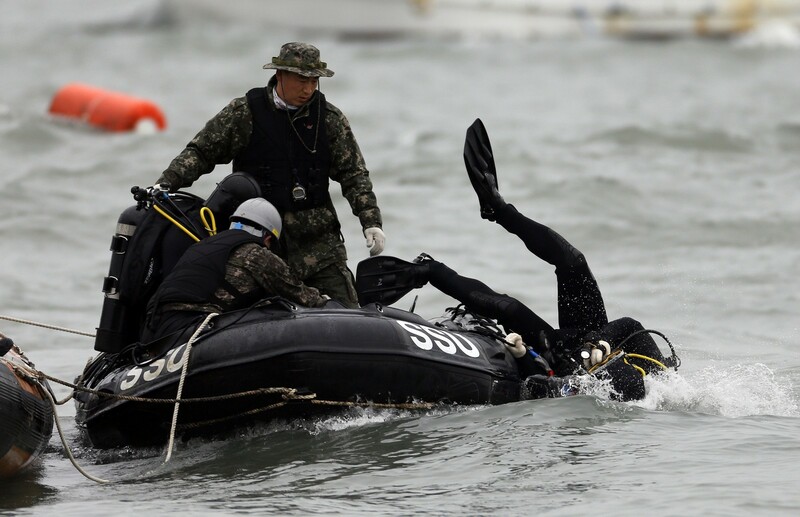 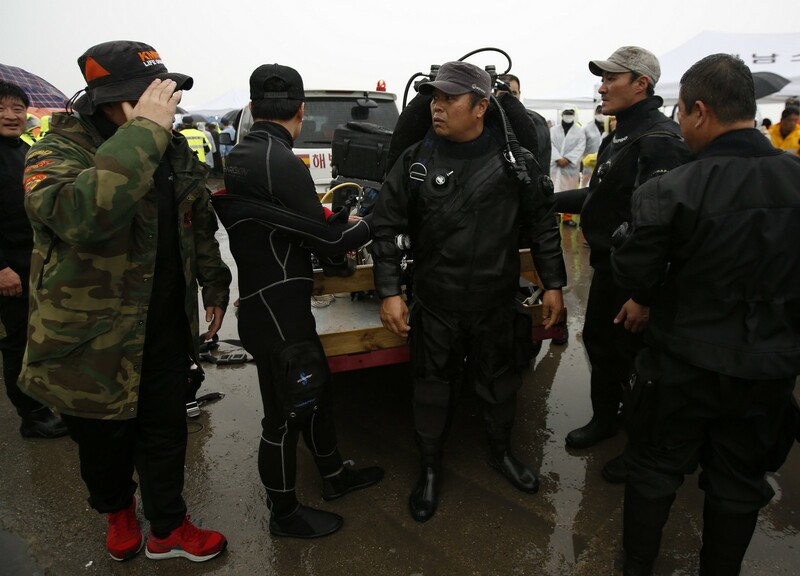 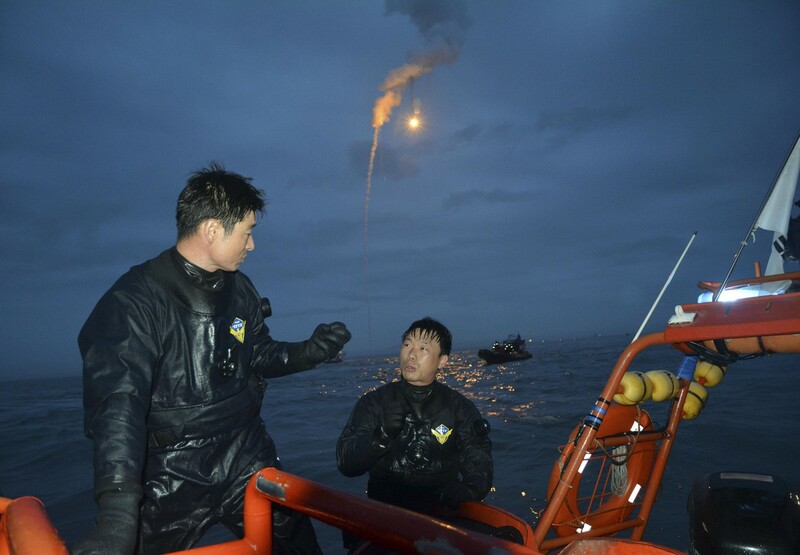 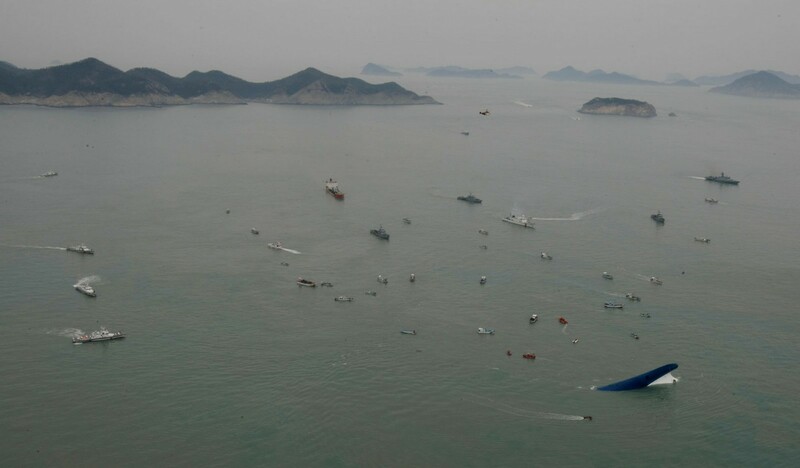 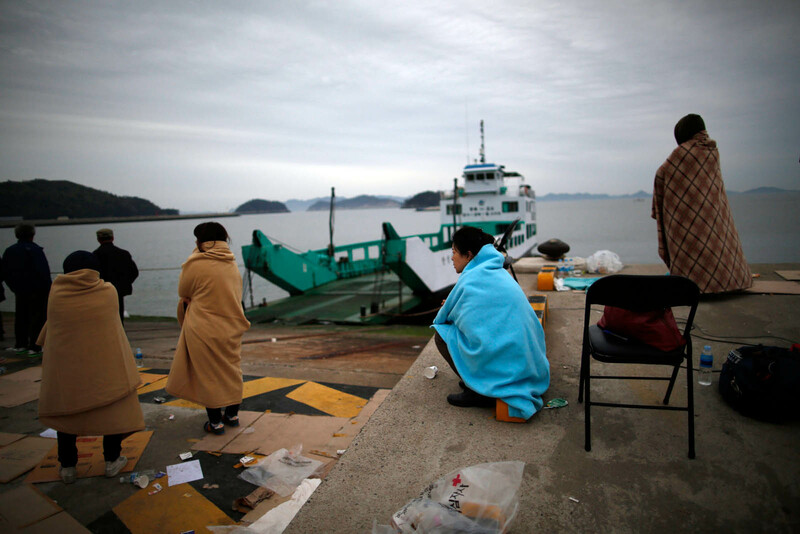 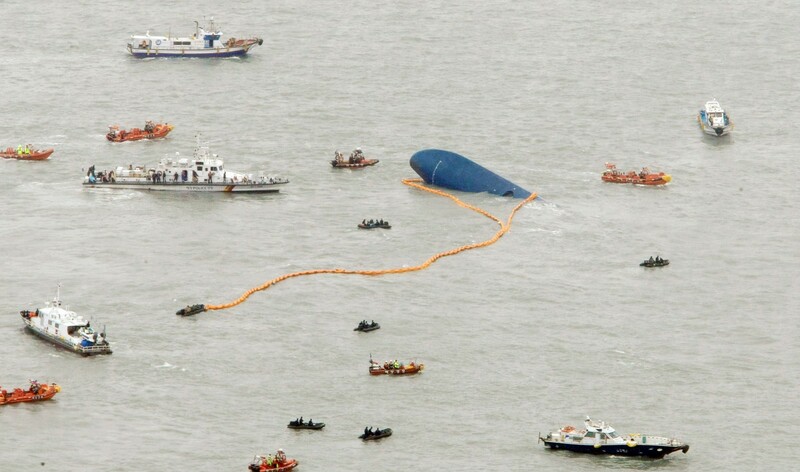 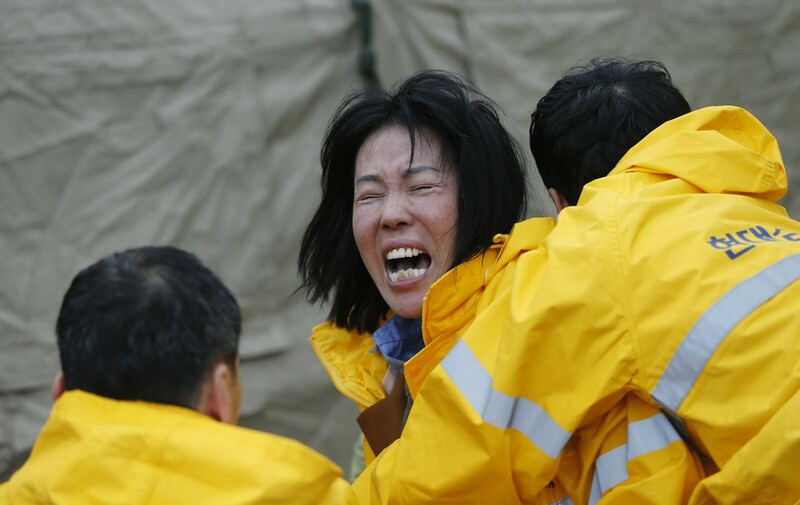 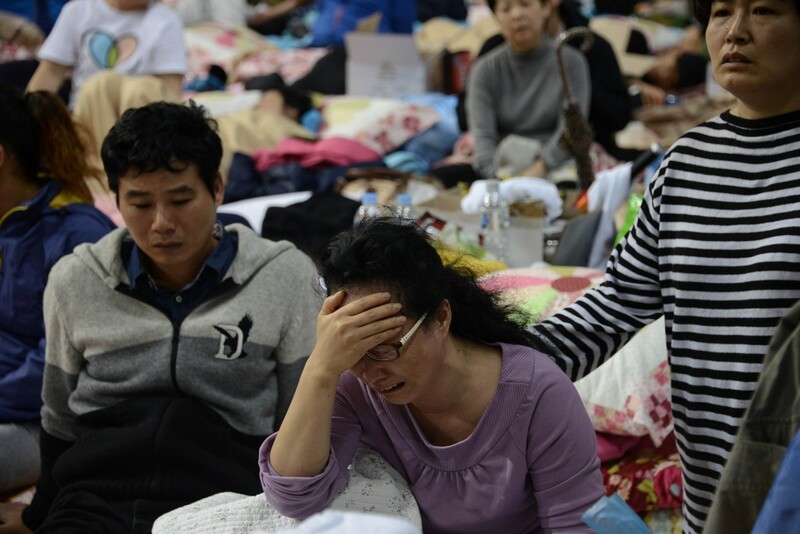 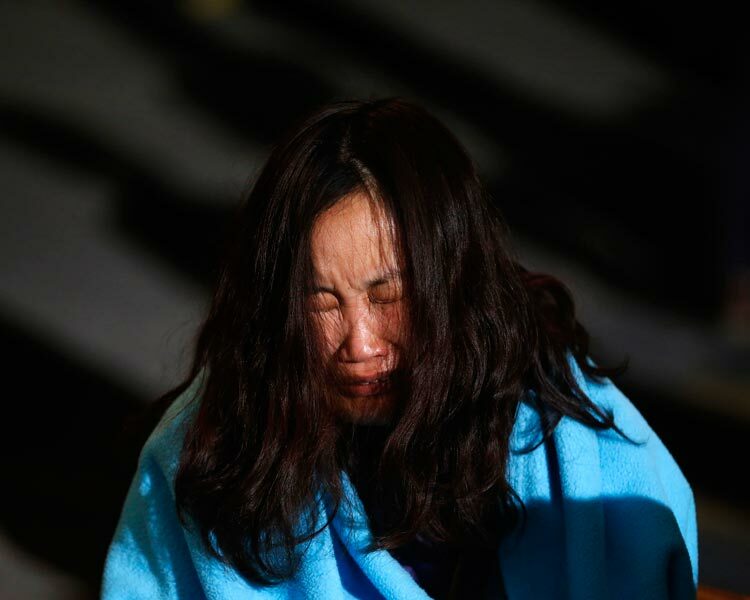 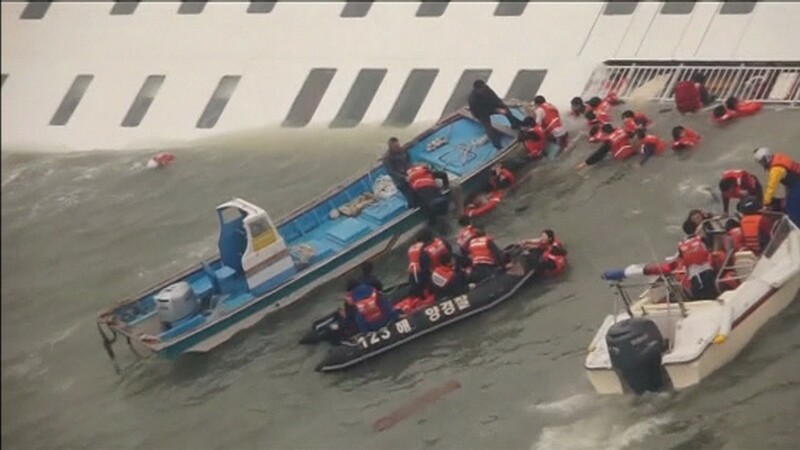 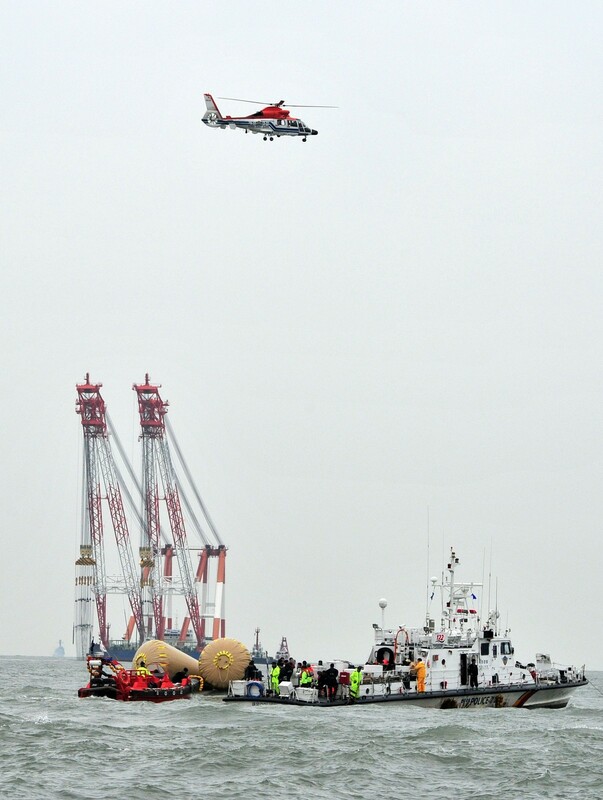 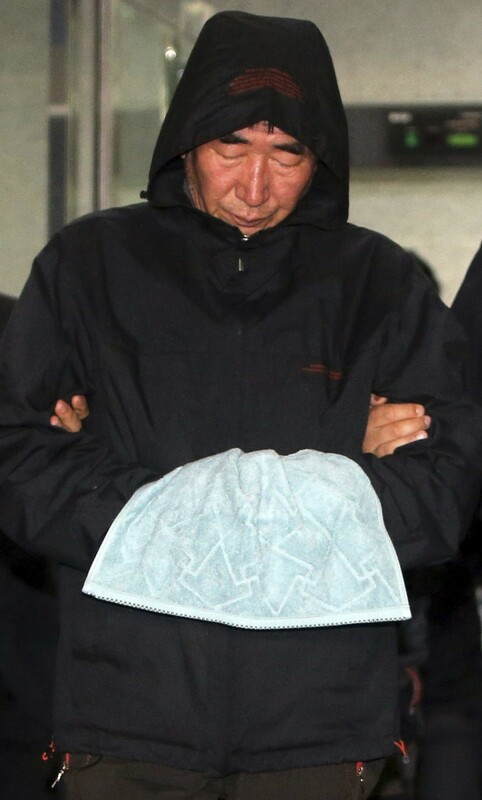 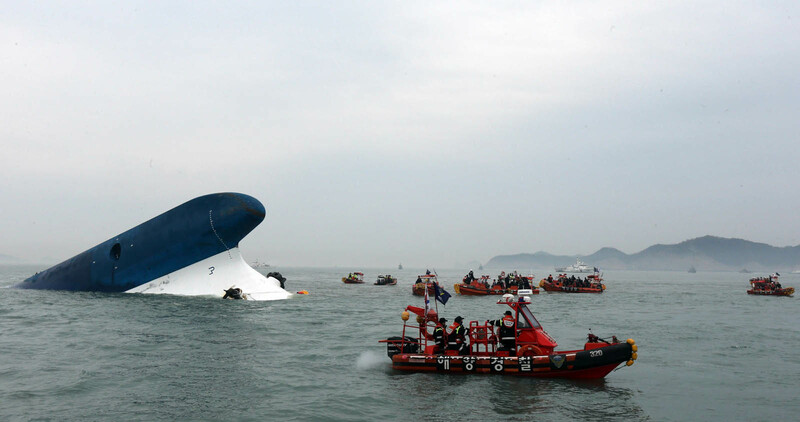 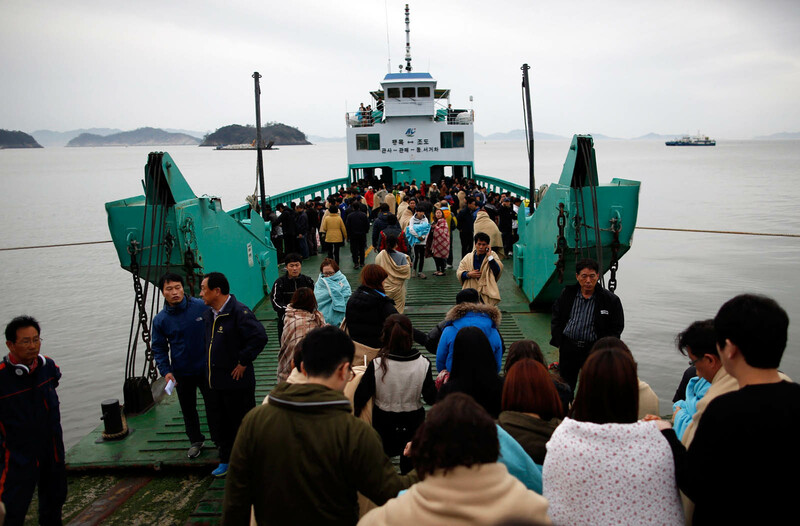 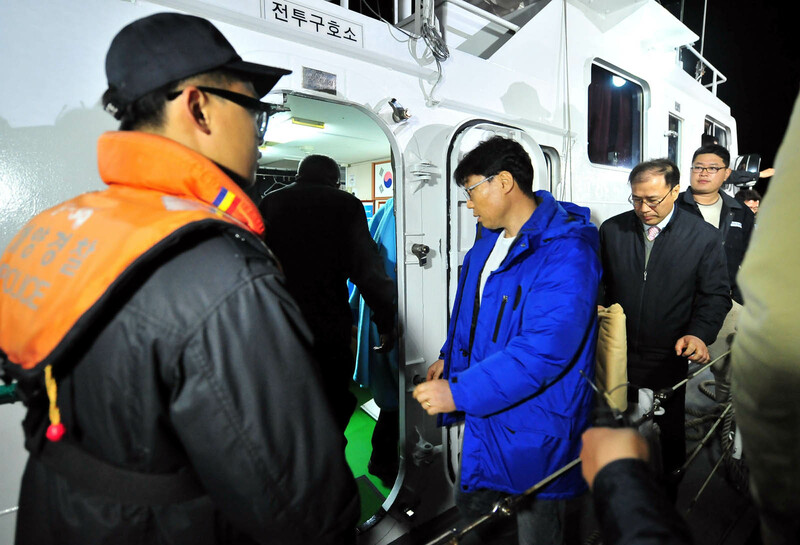 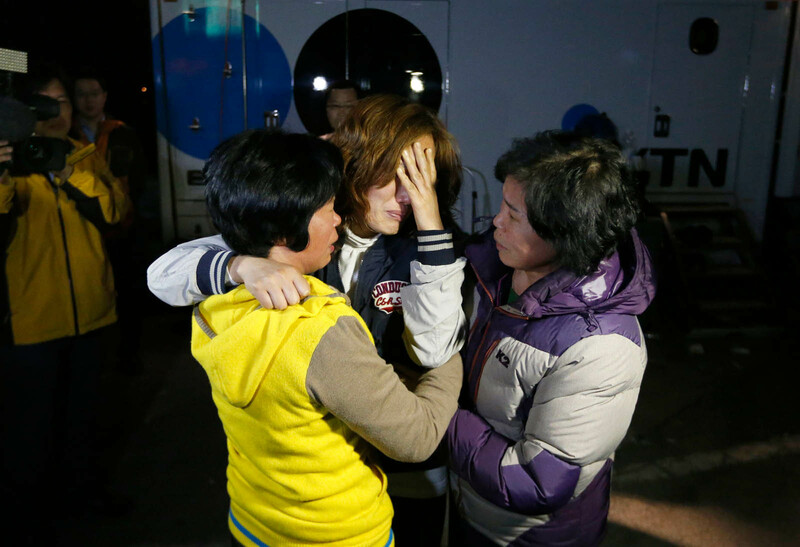 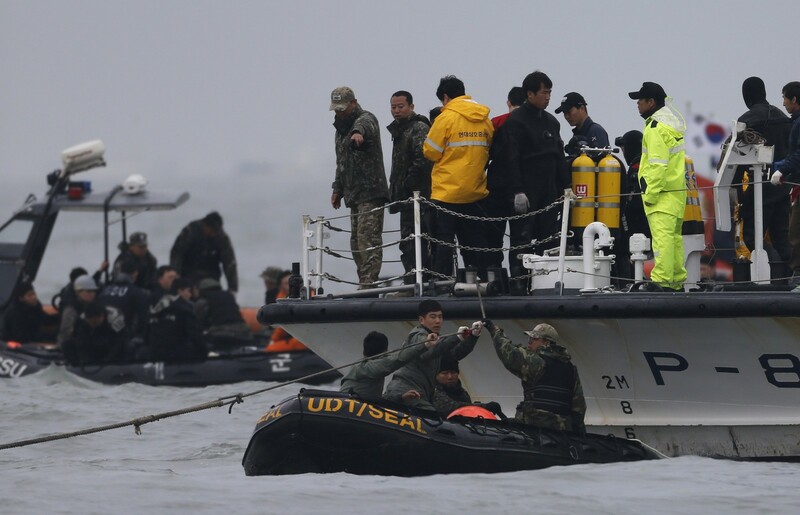 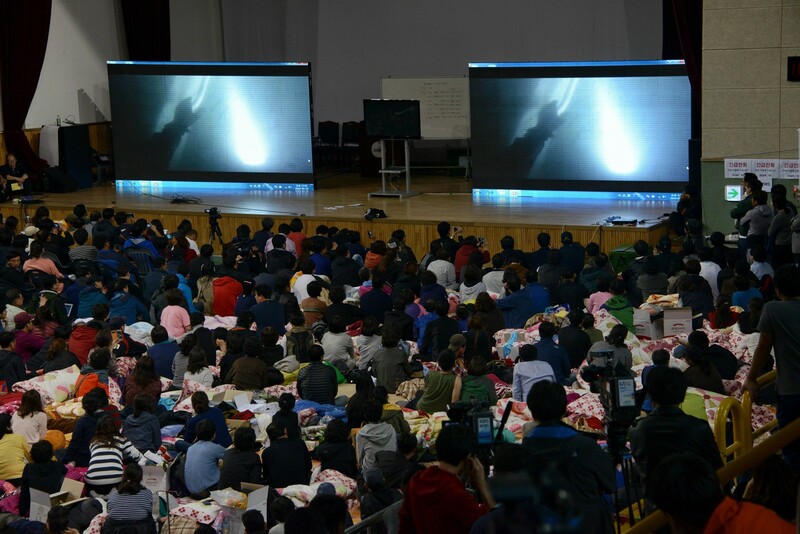 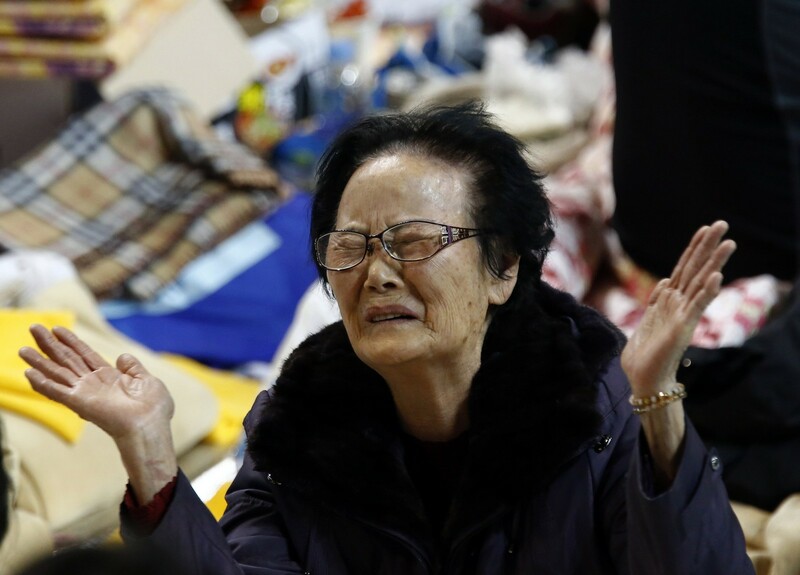 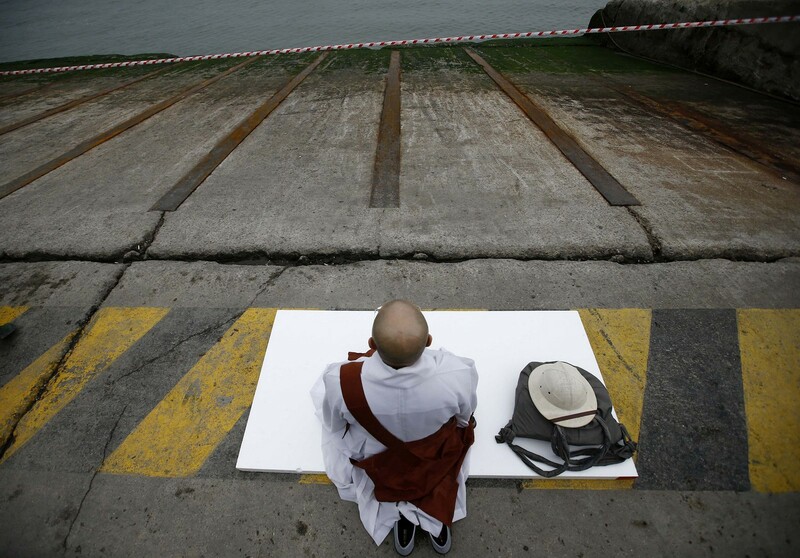 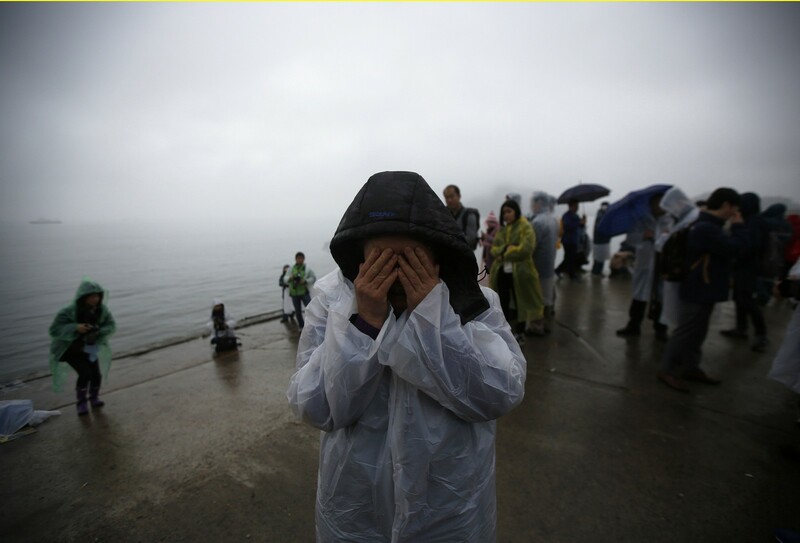 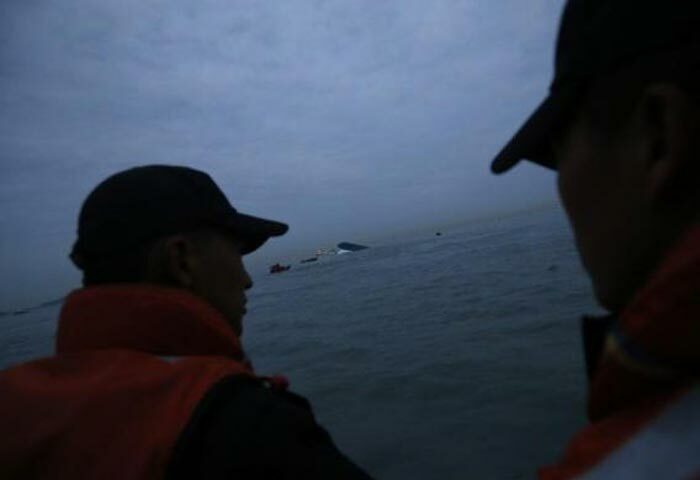 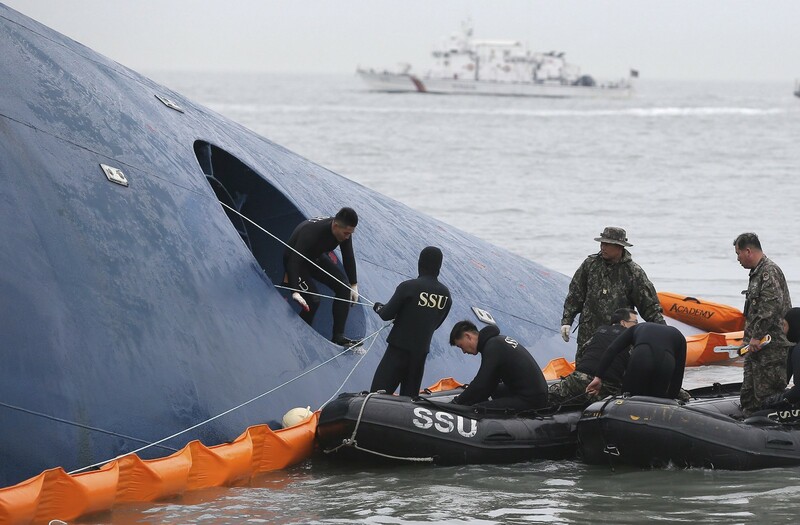 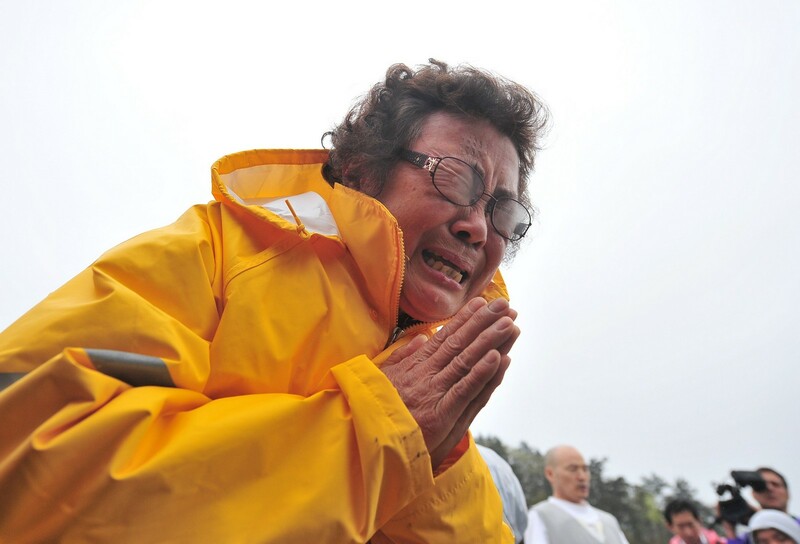 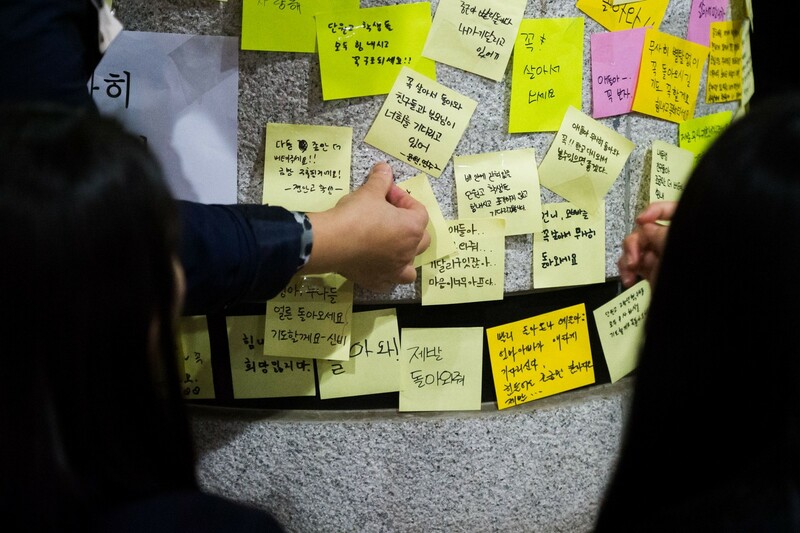 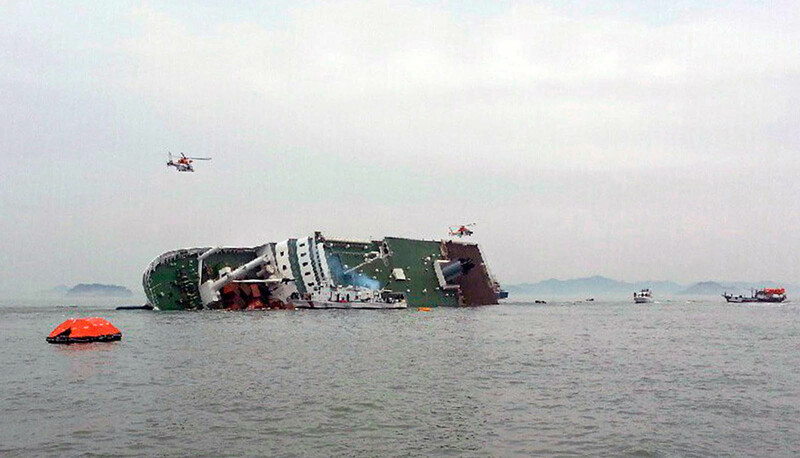 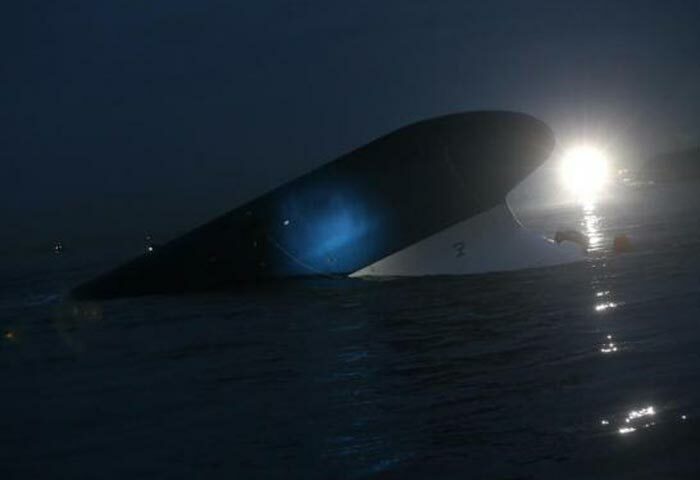 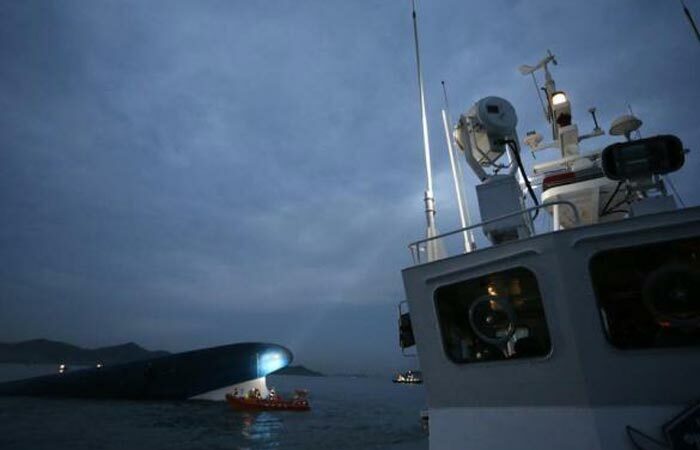 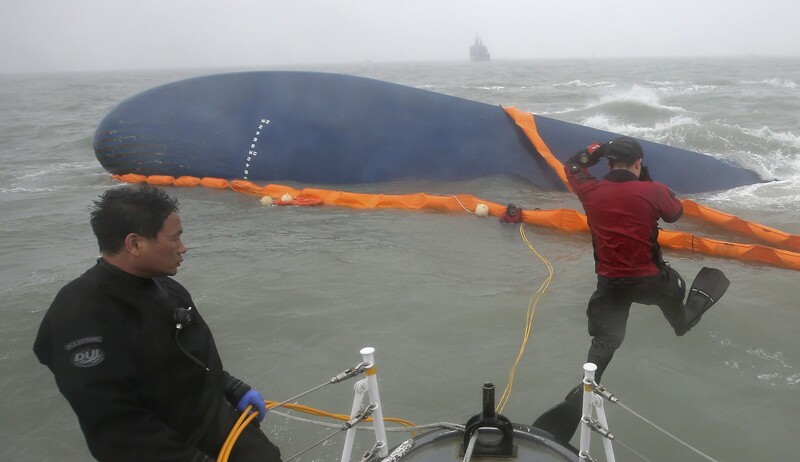 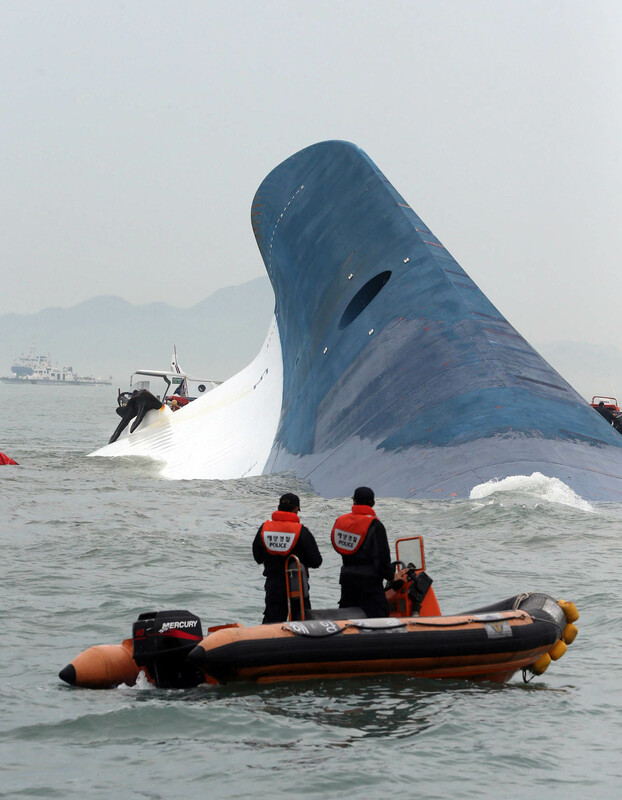 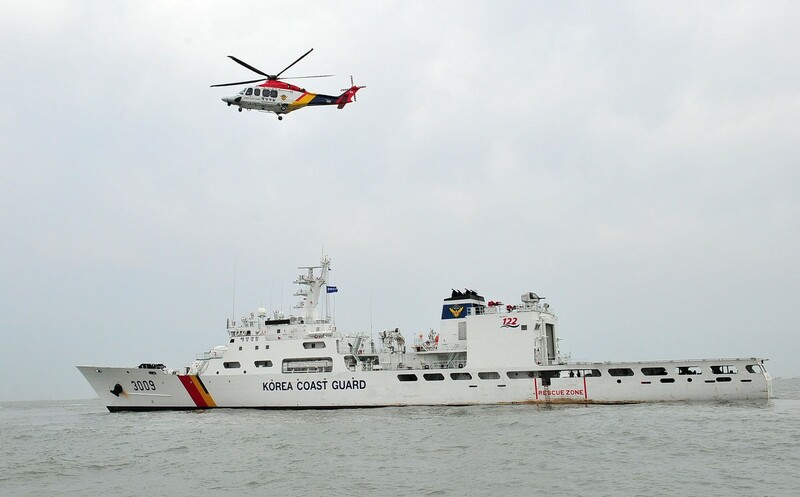 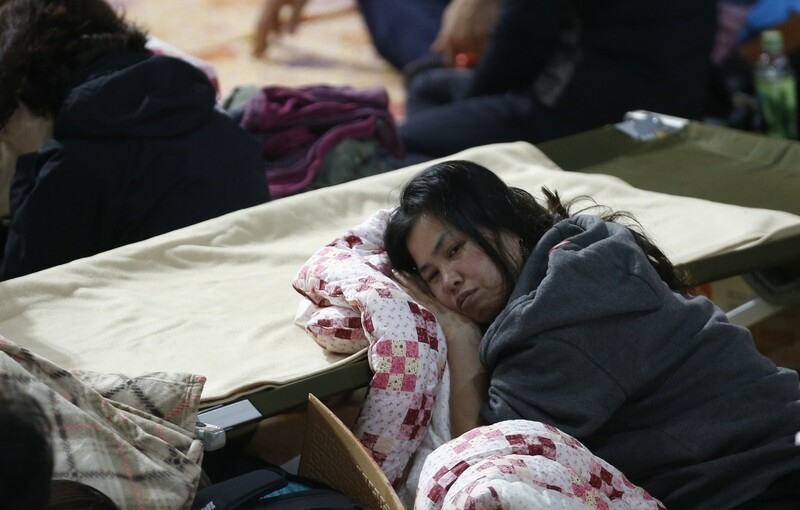 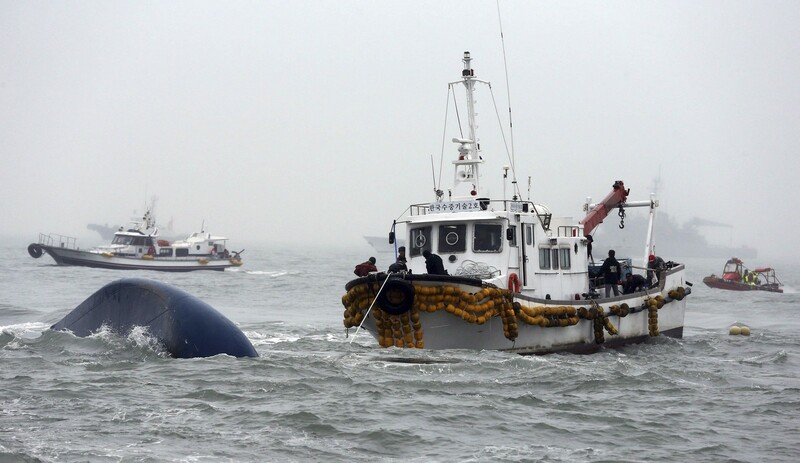 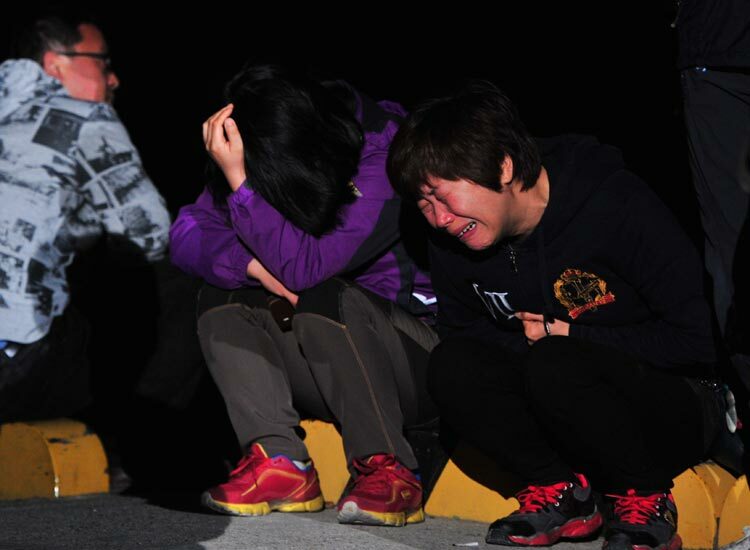 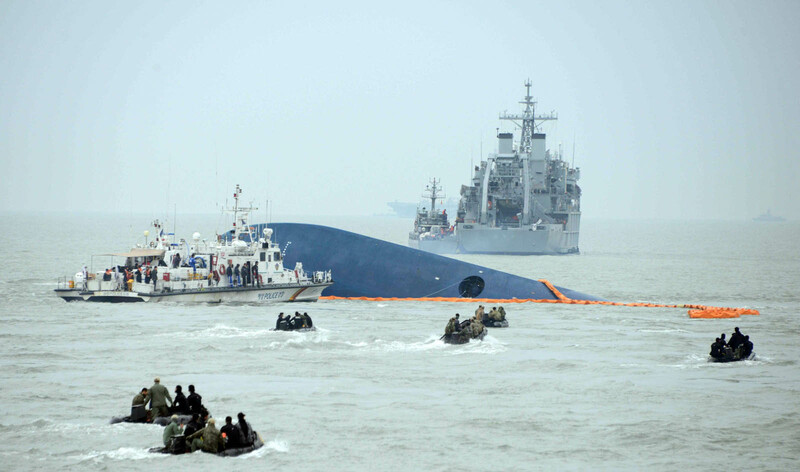 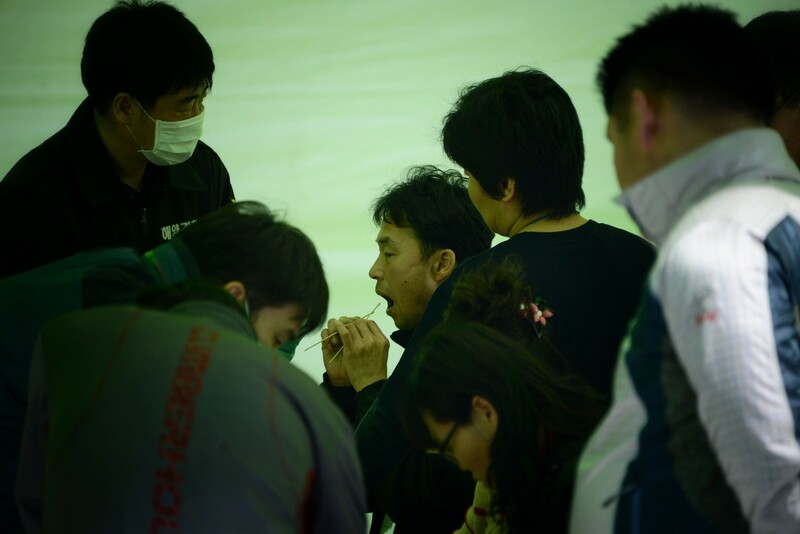 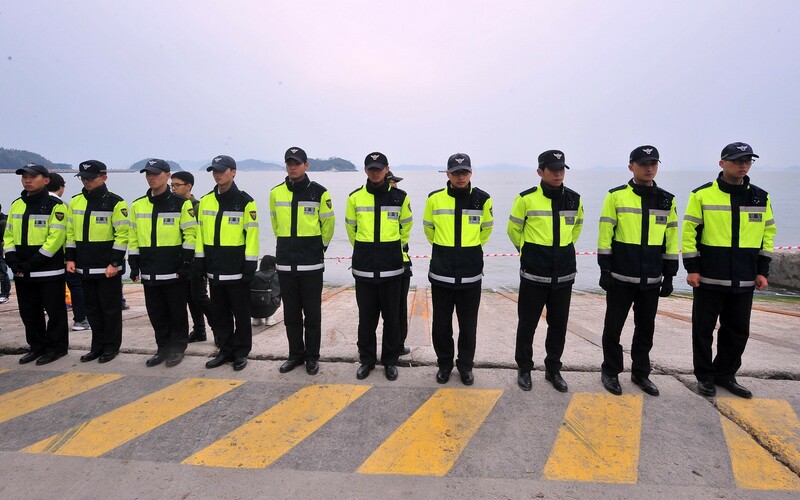 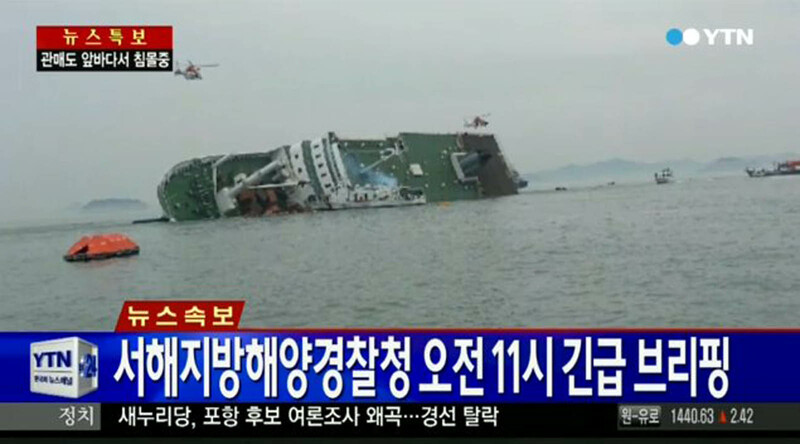 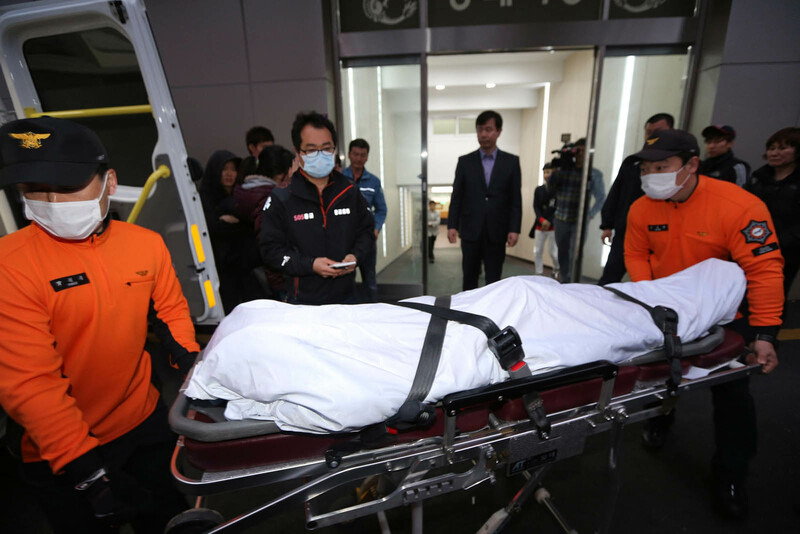 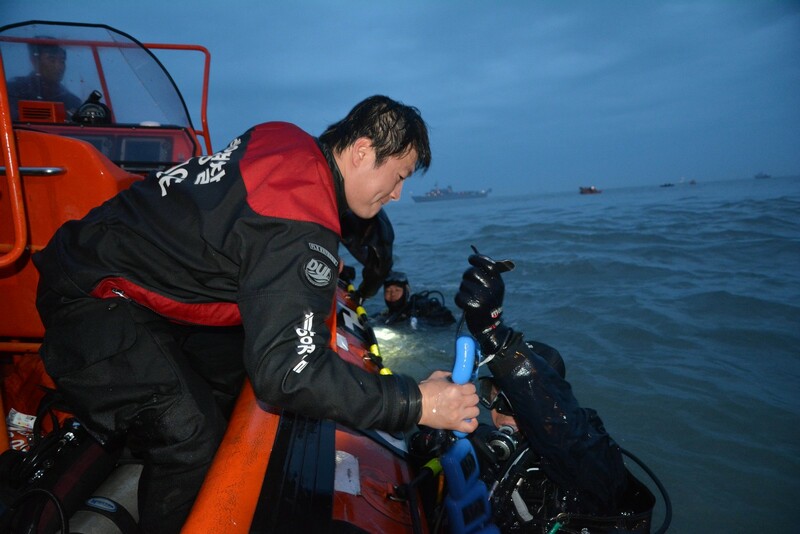 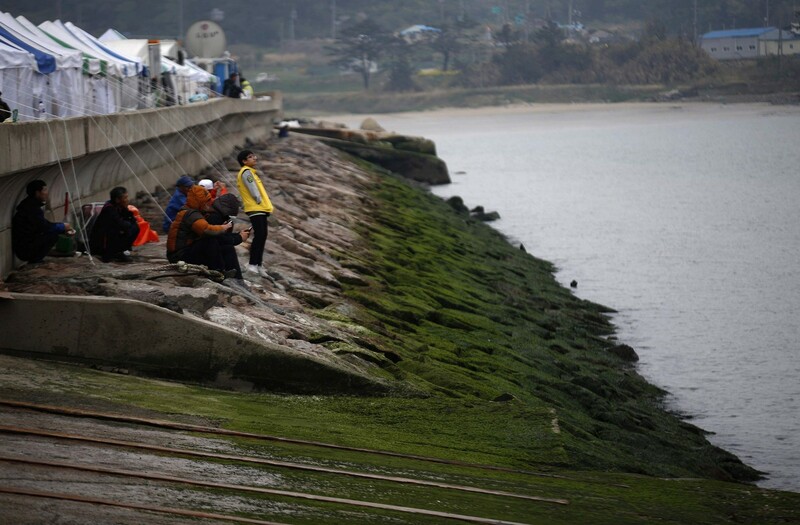 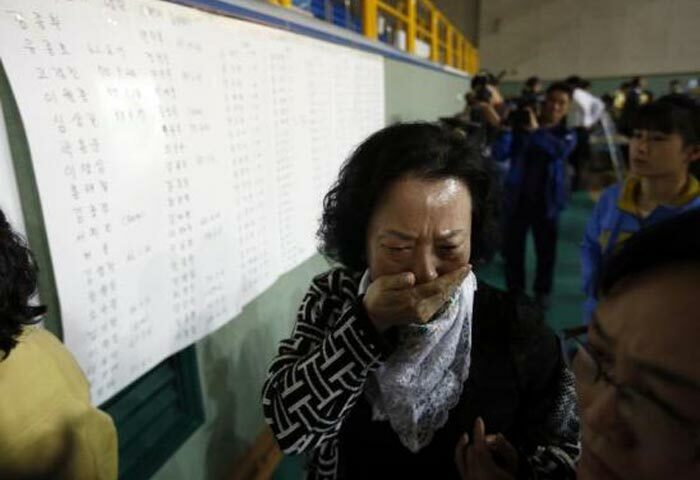 Family members of the victims in the Sewol ferry disaster berated the government for what they called "insufficient" rescue efforts on Friday. 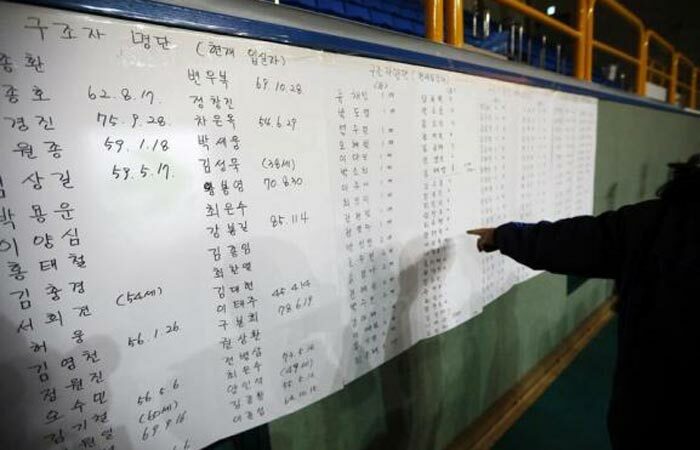 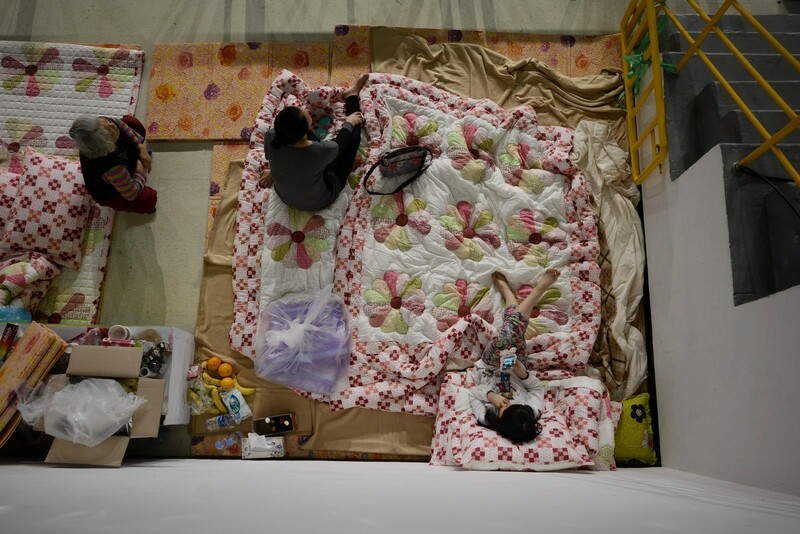 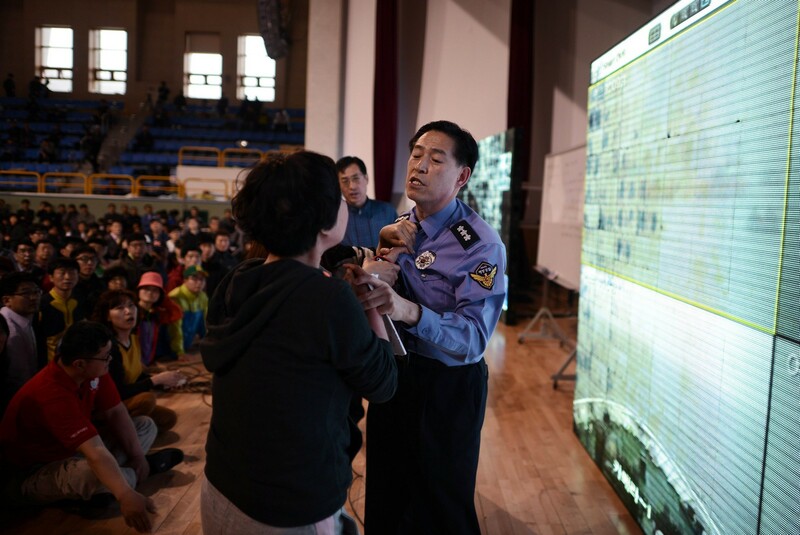 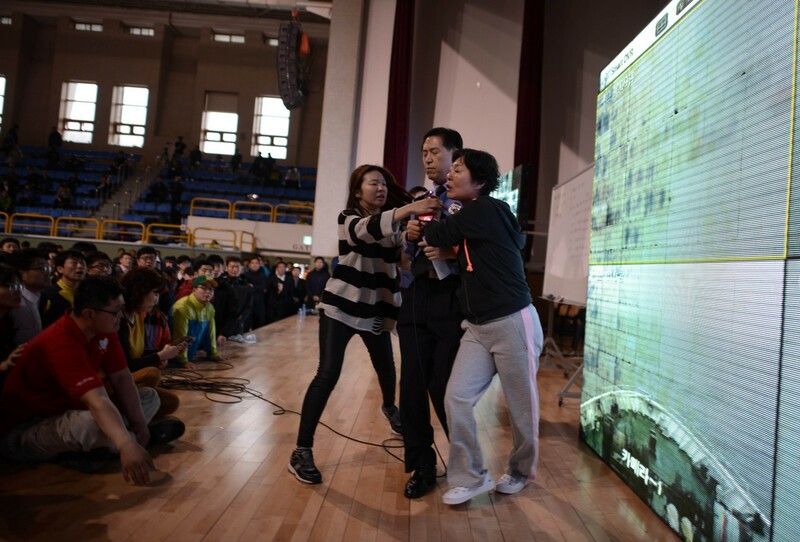 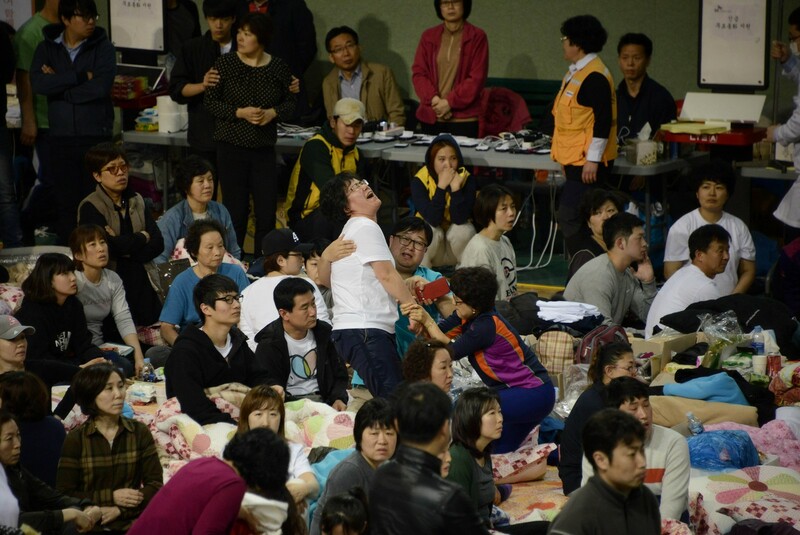 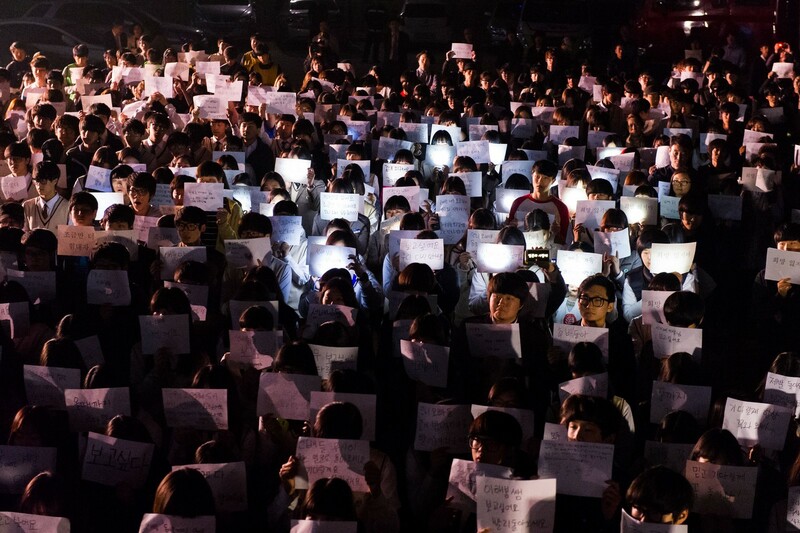 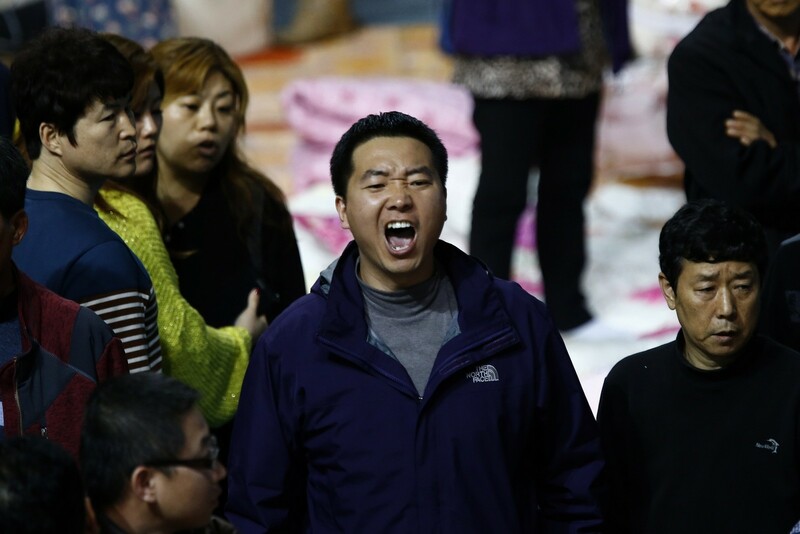 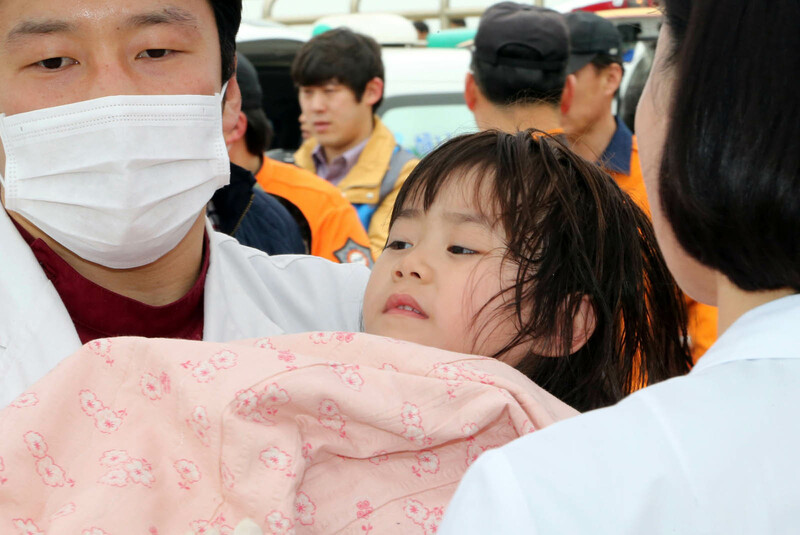 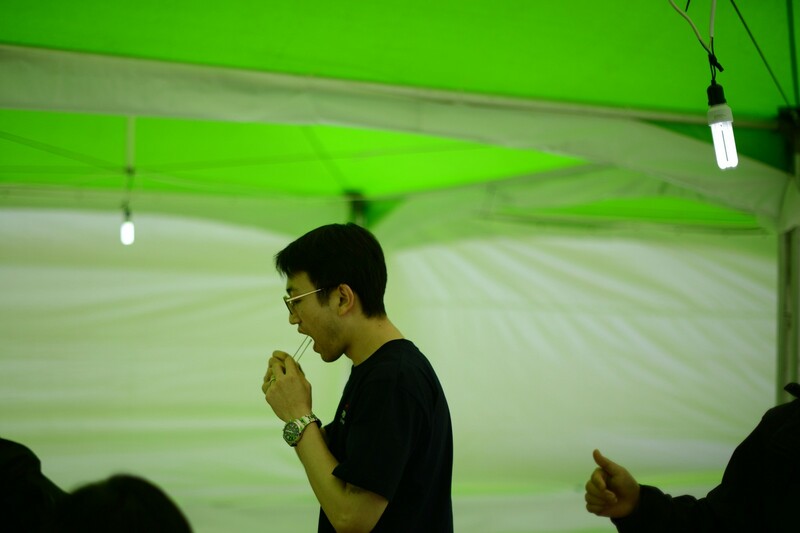 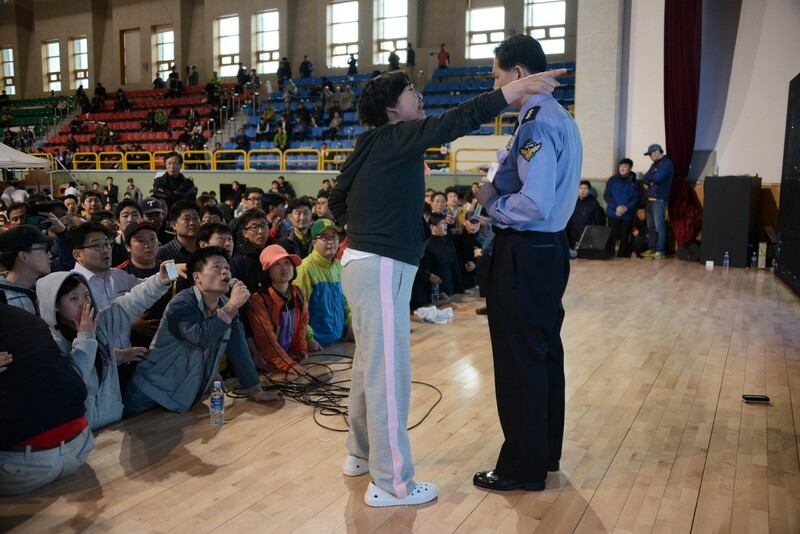 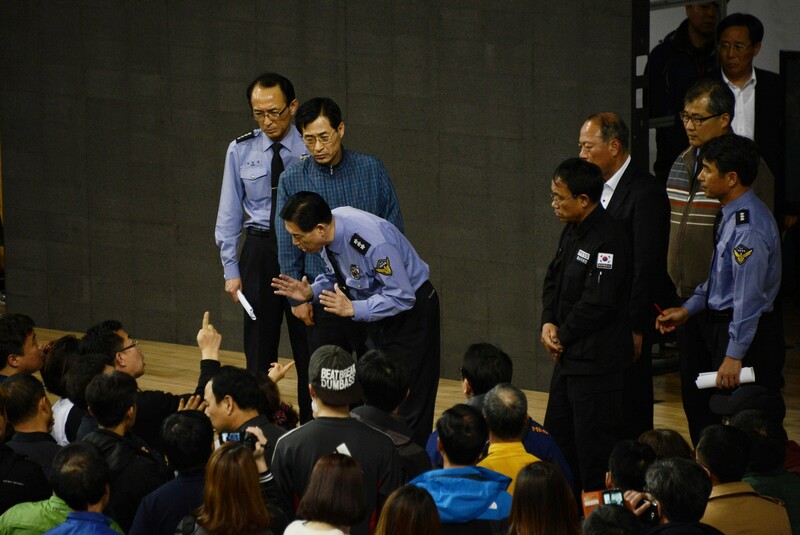 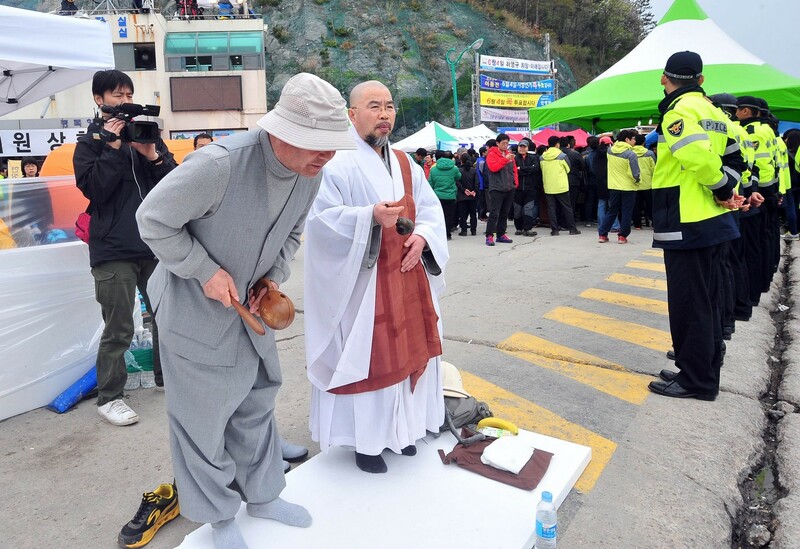 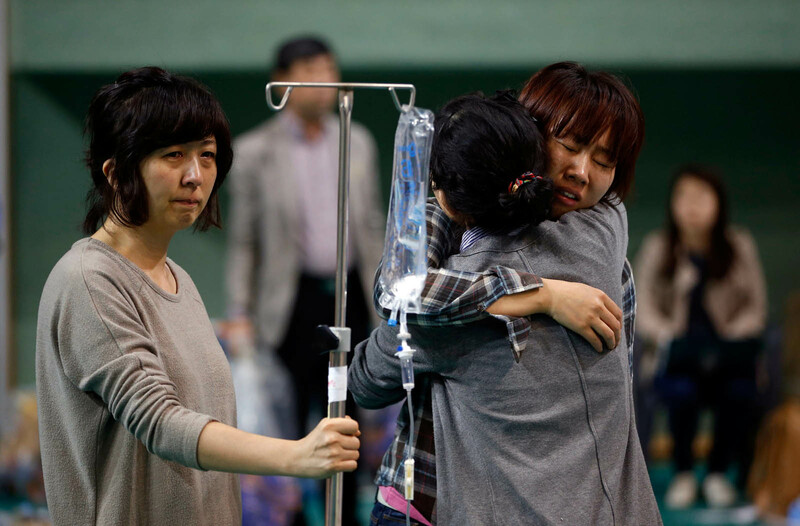 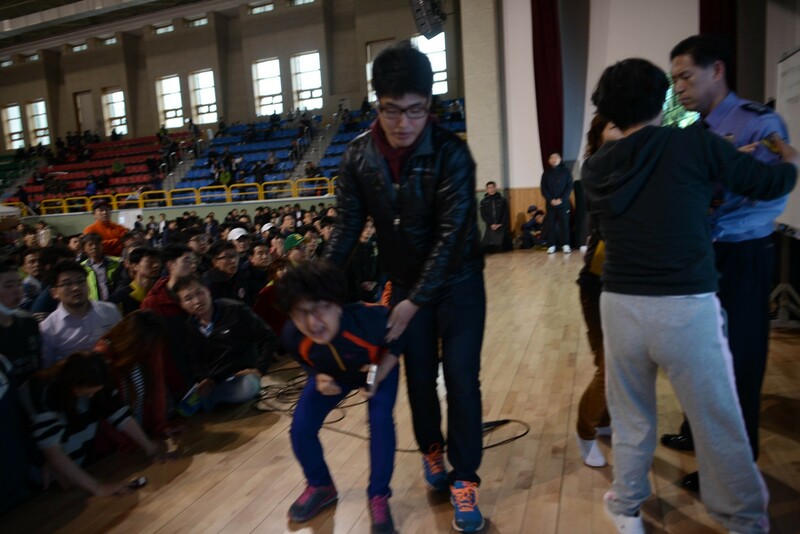 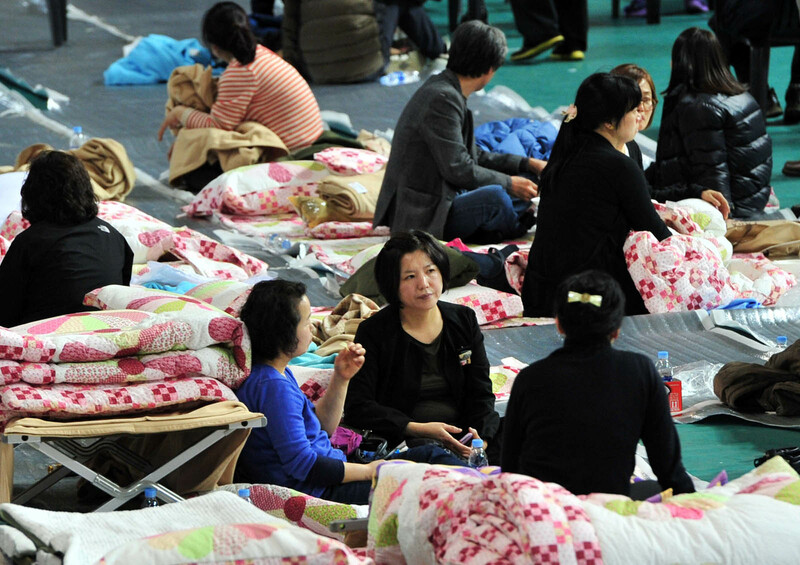 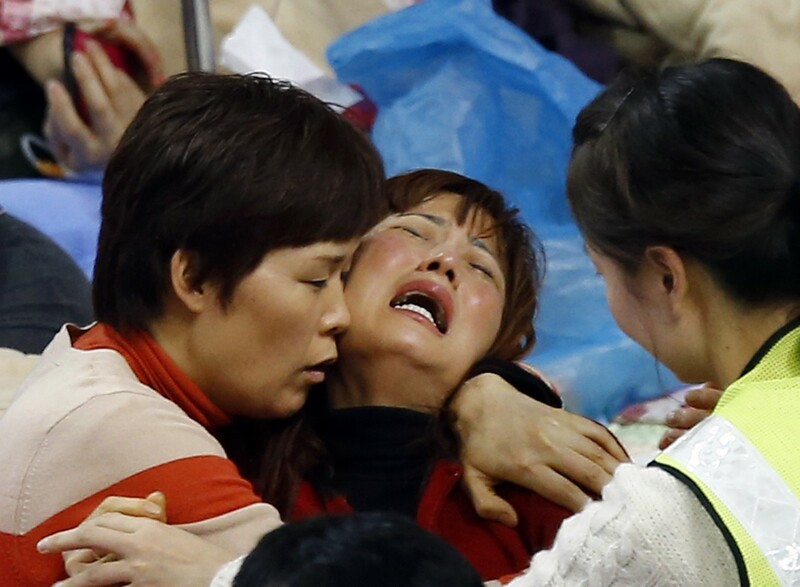 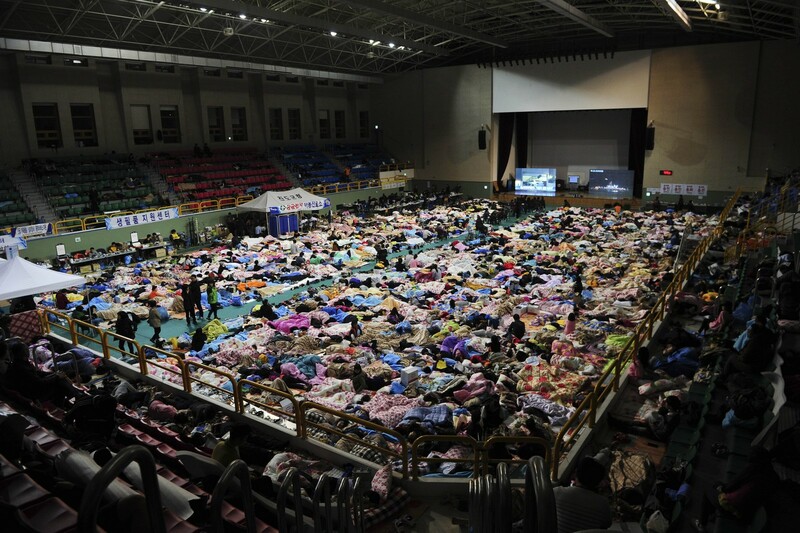 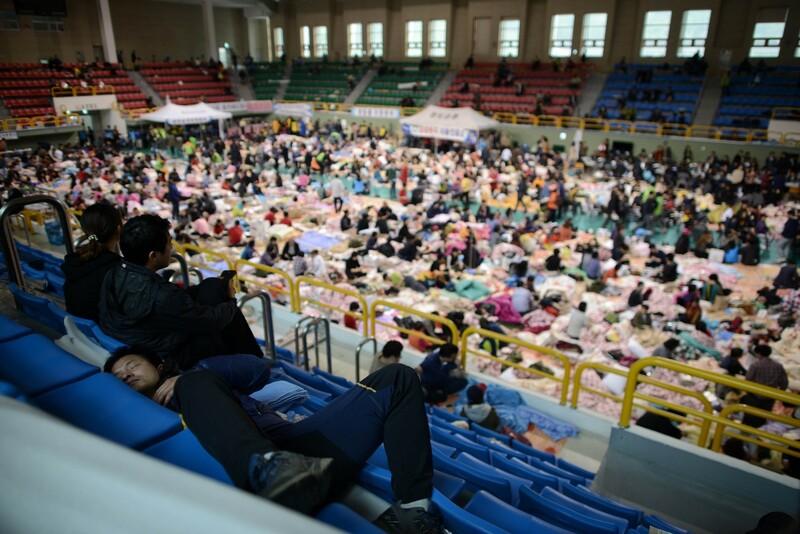 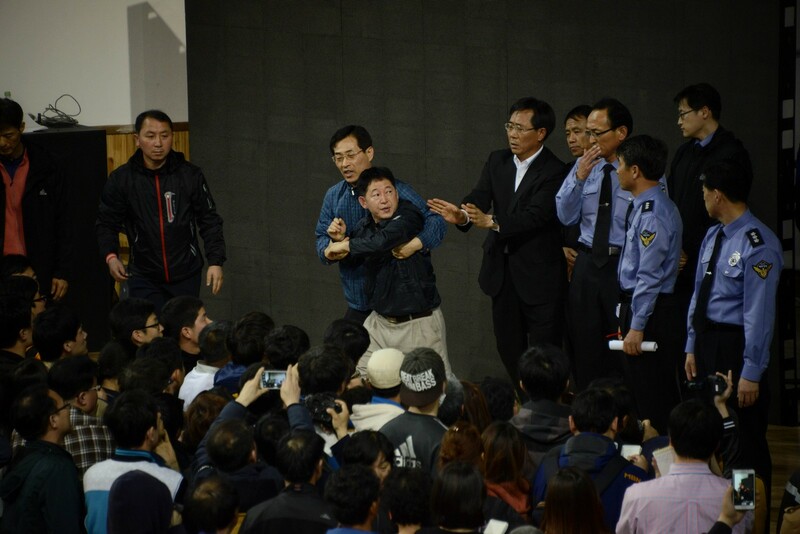 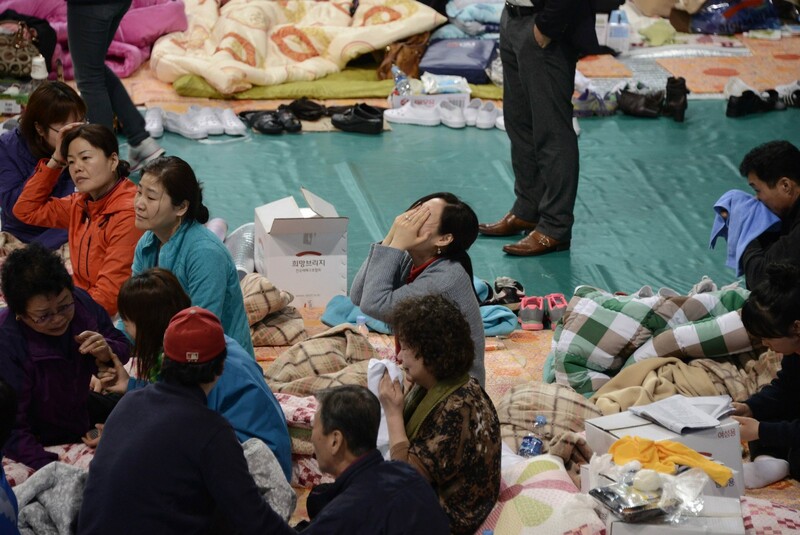 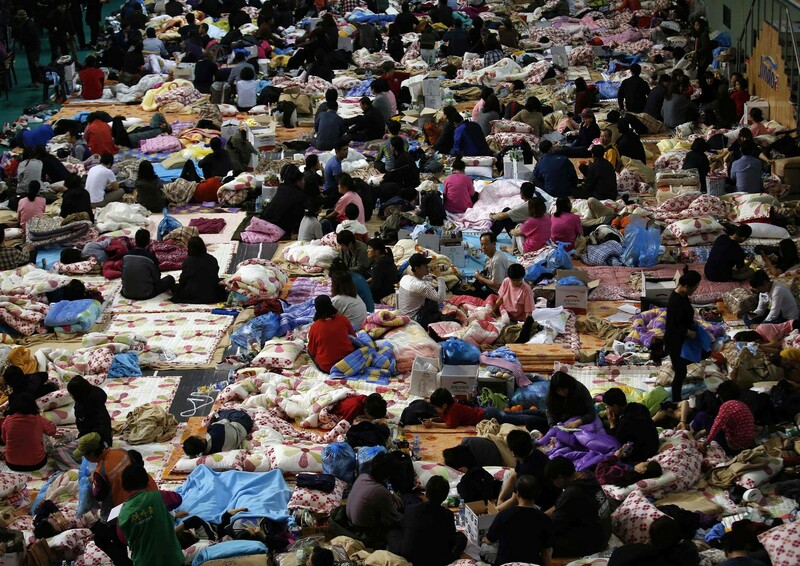 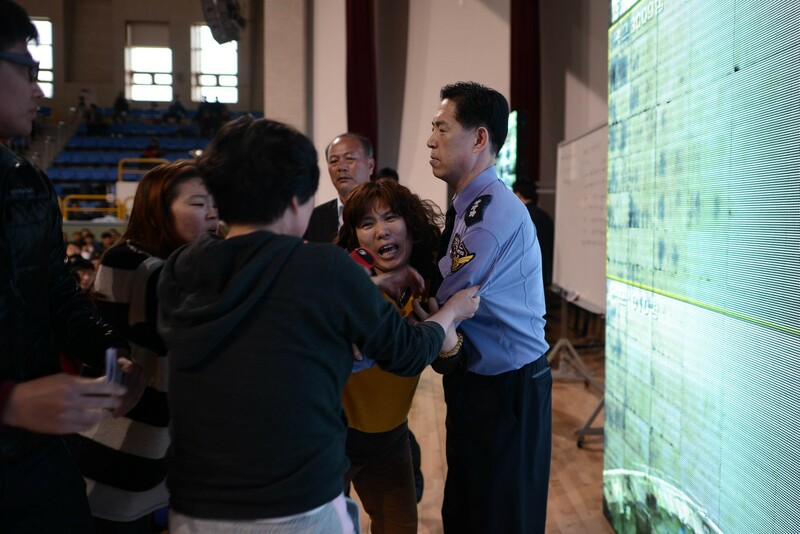 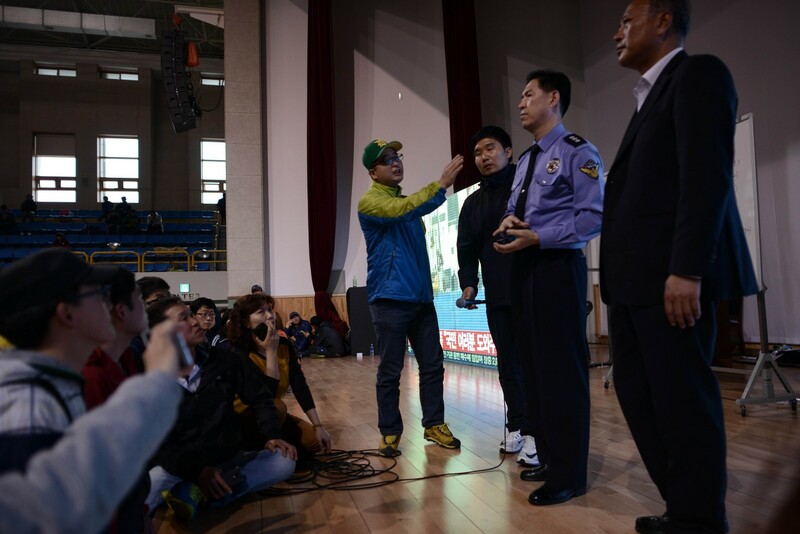 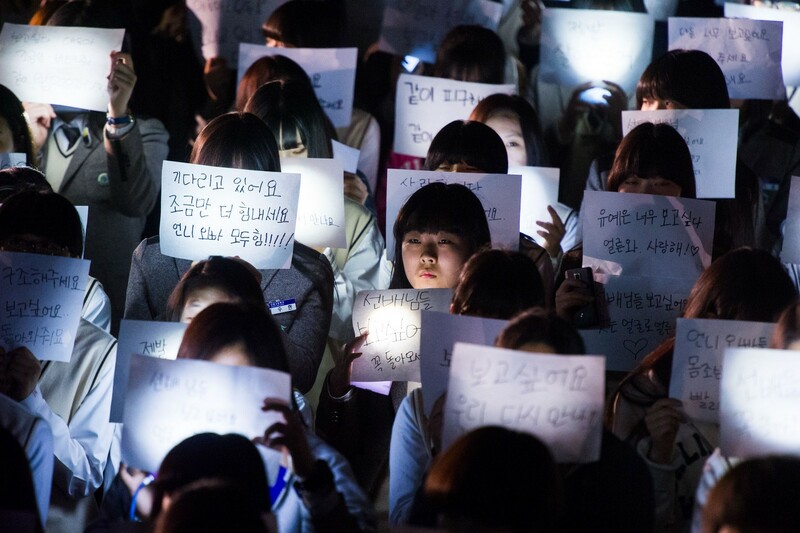 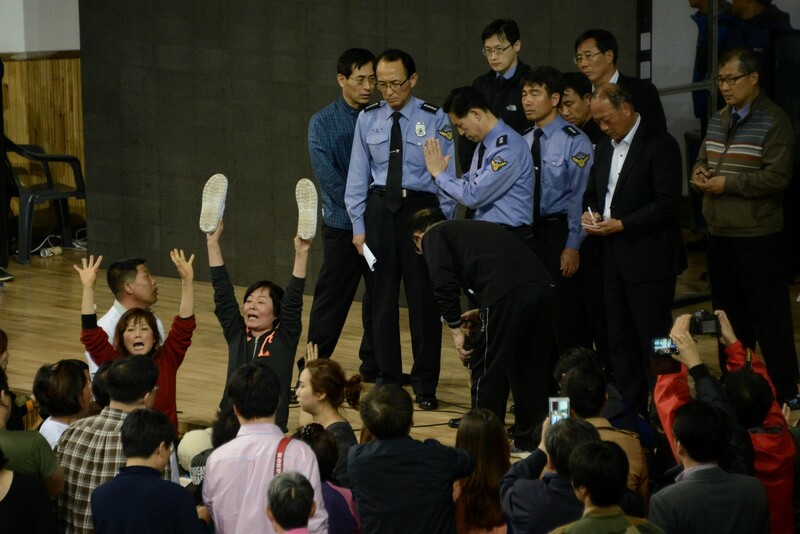 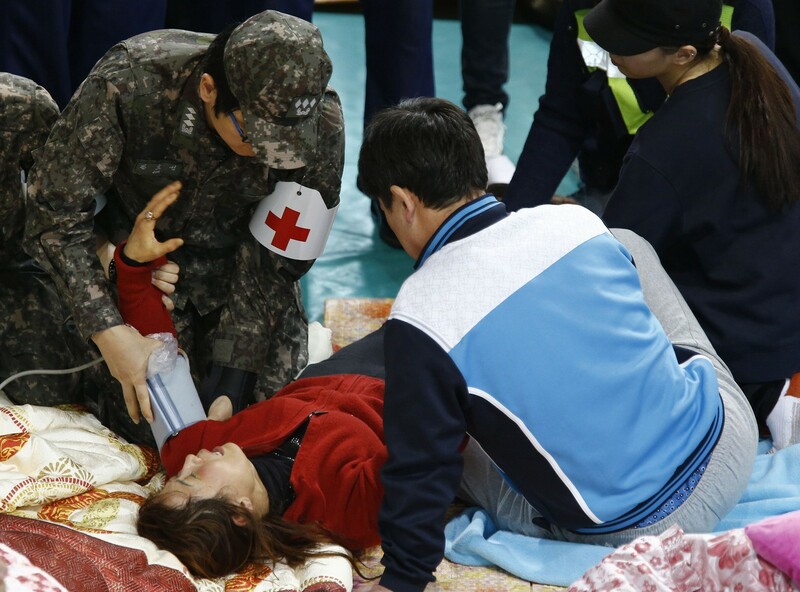 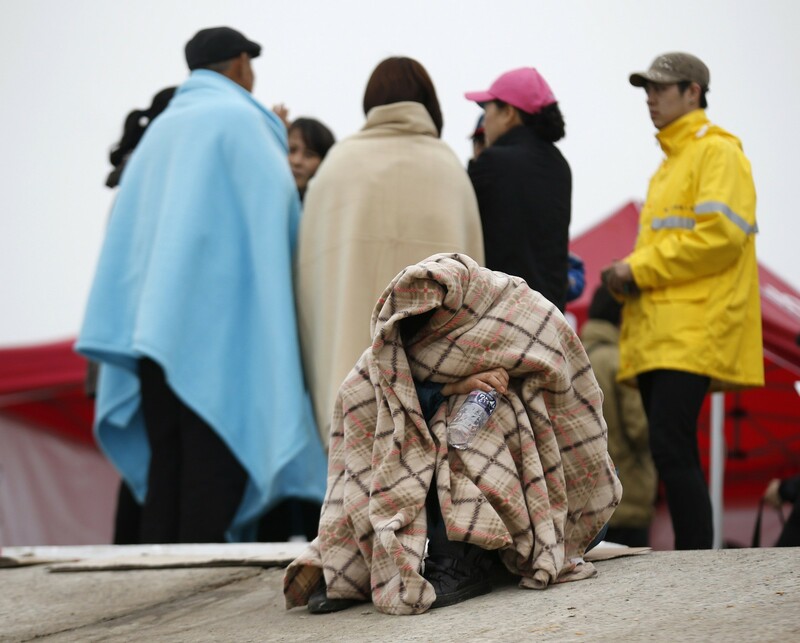 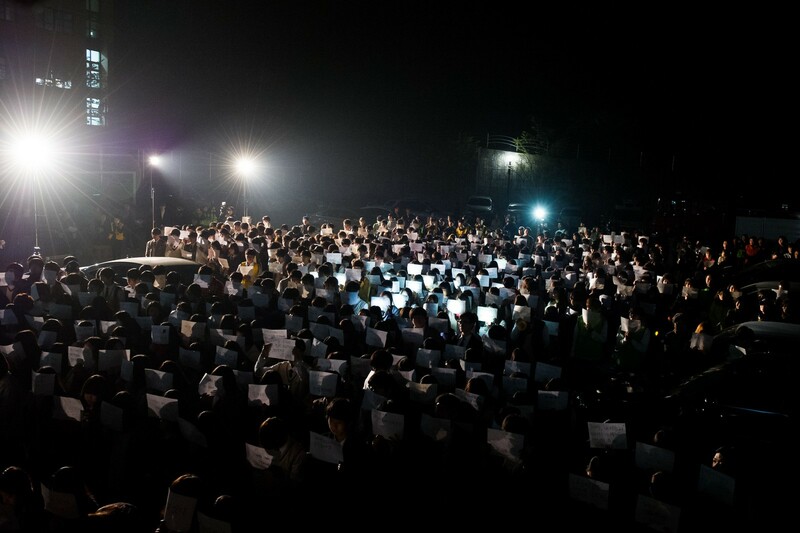 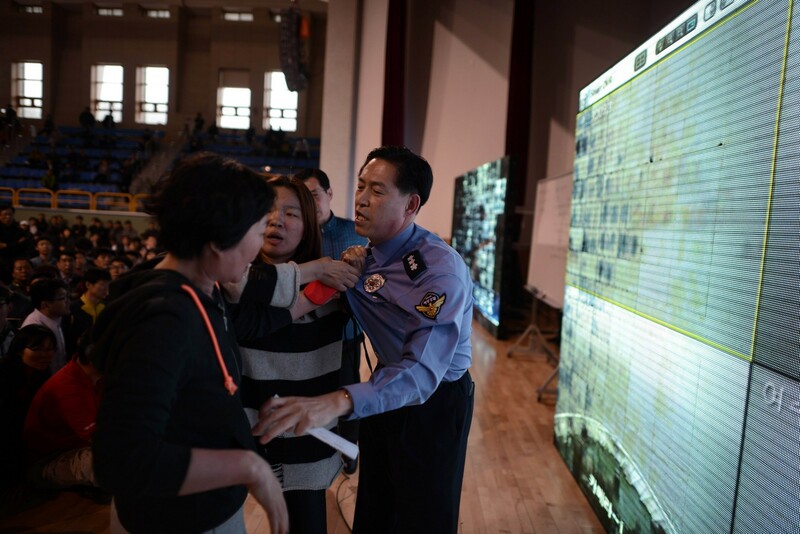 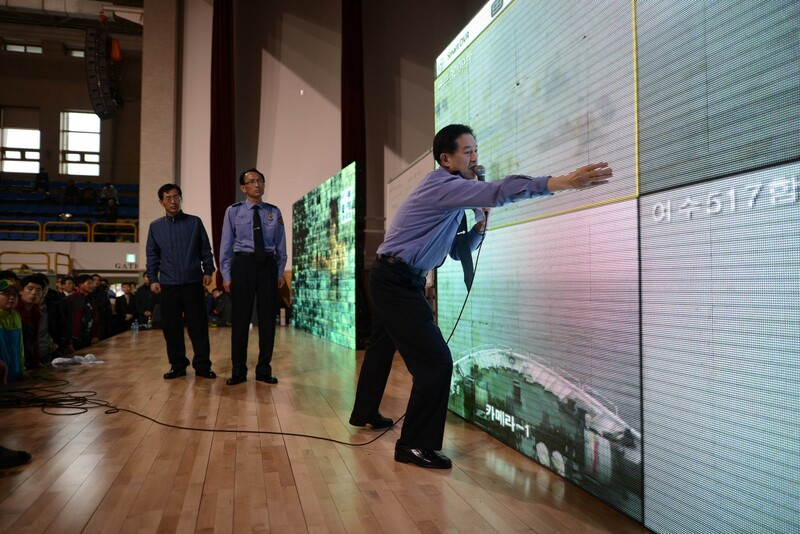 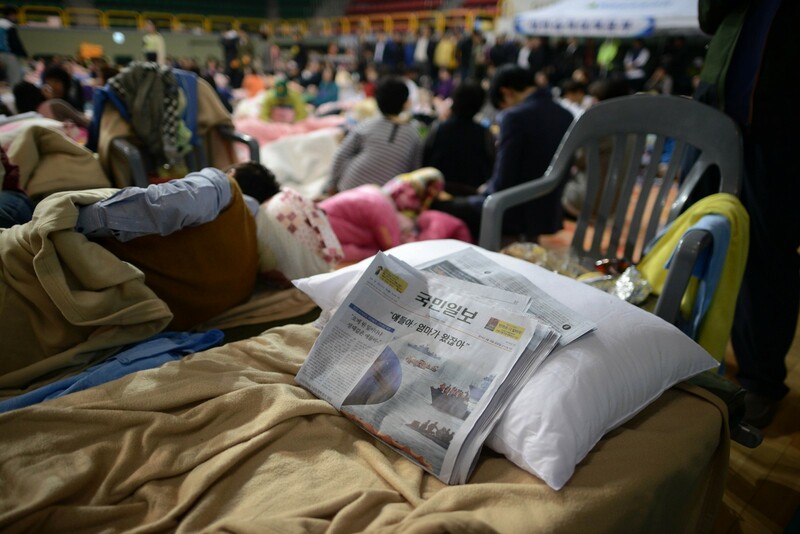 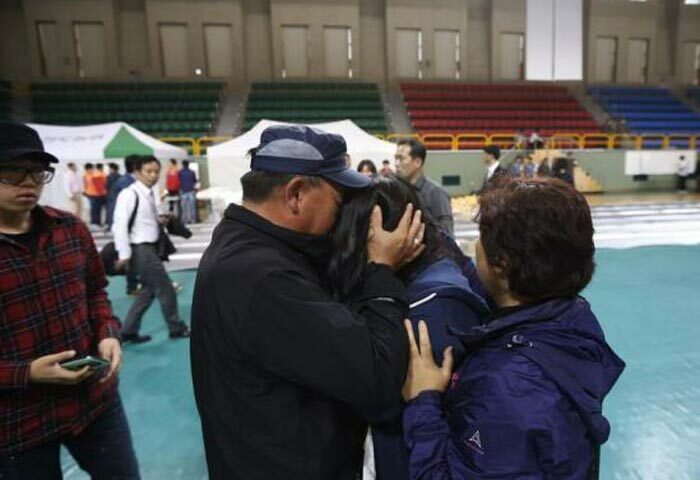 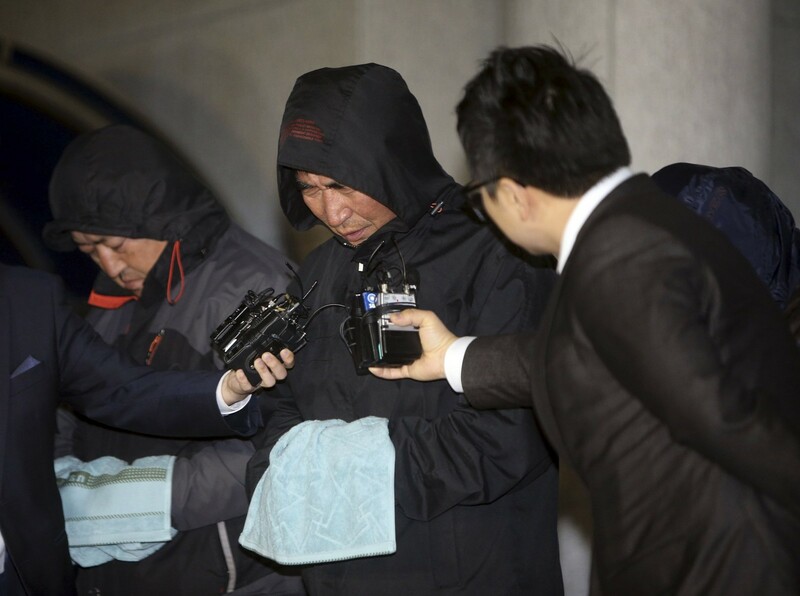 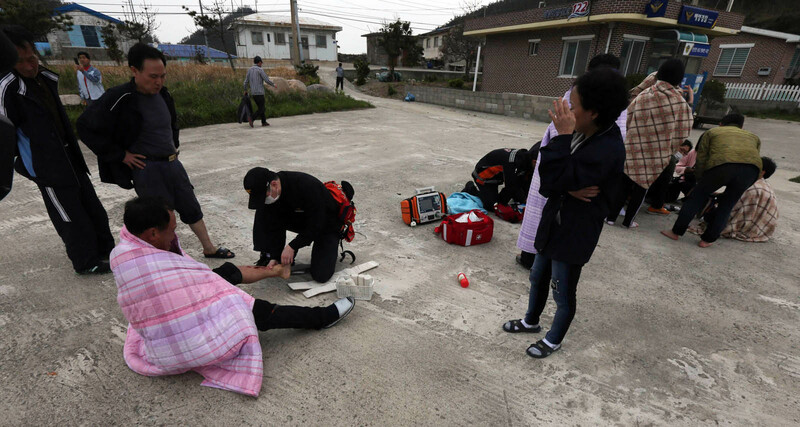 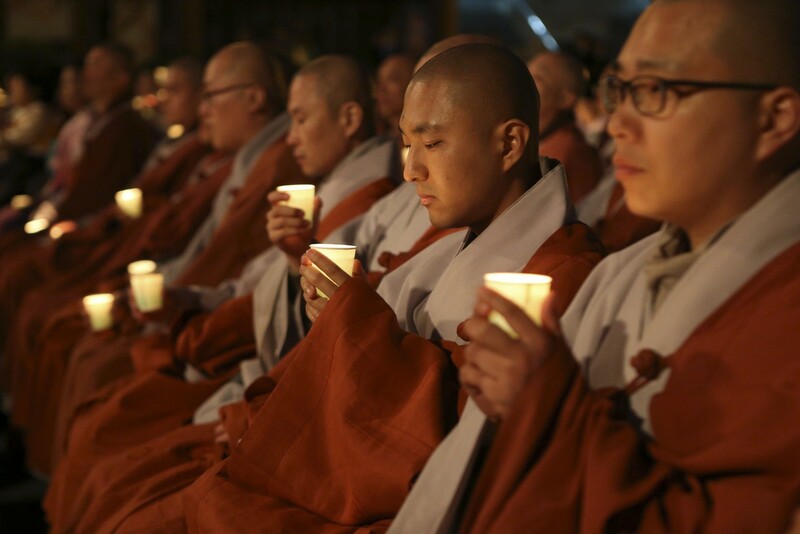 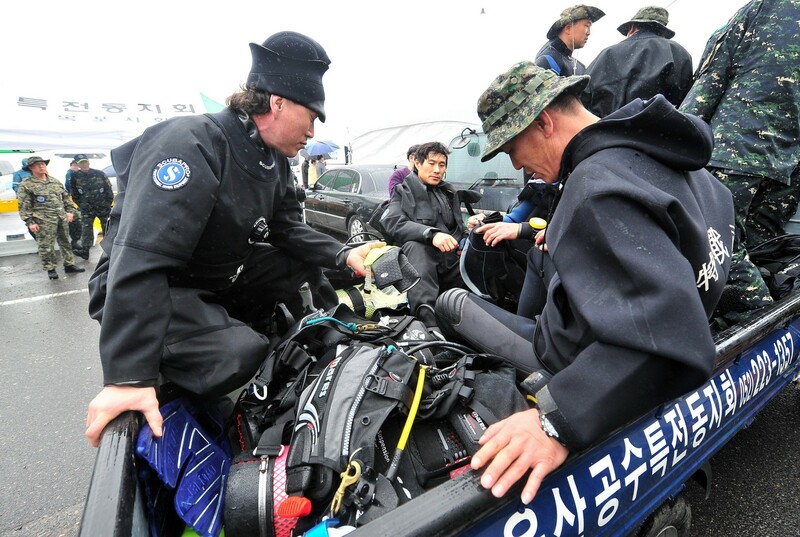 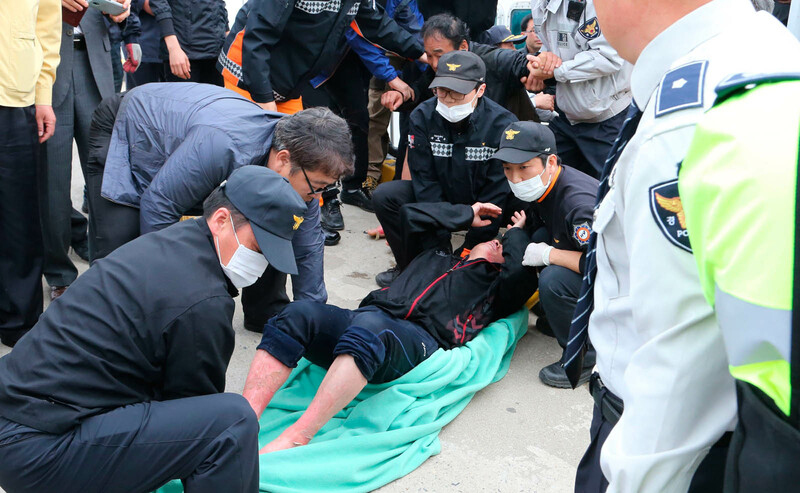 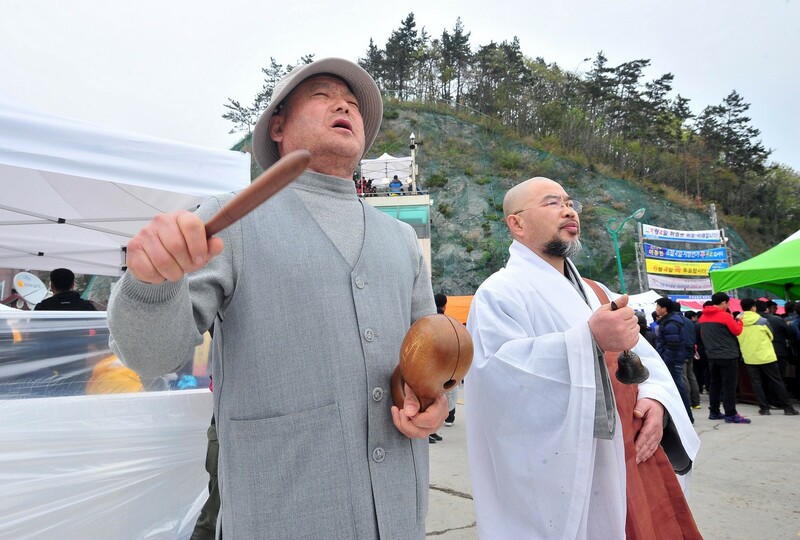 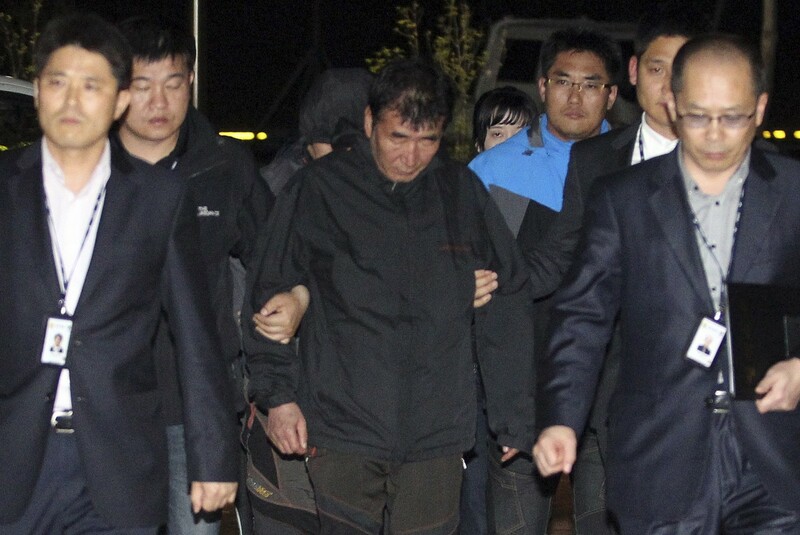 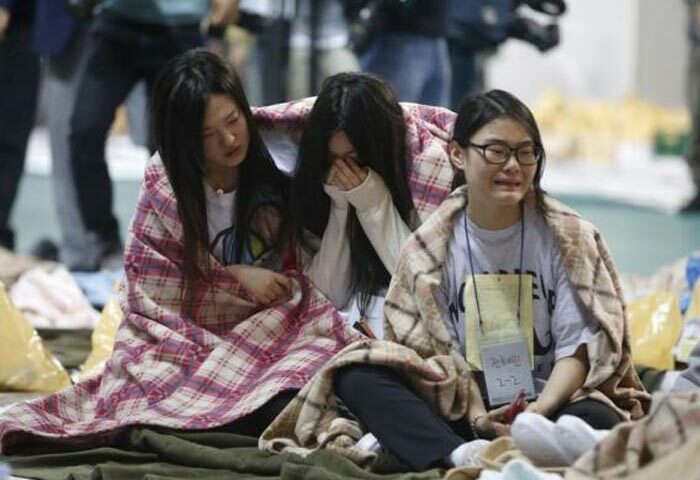 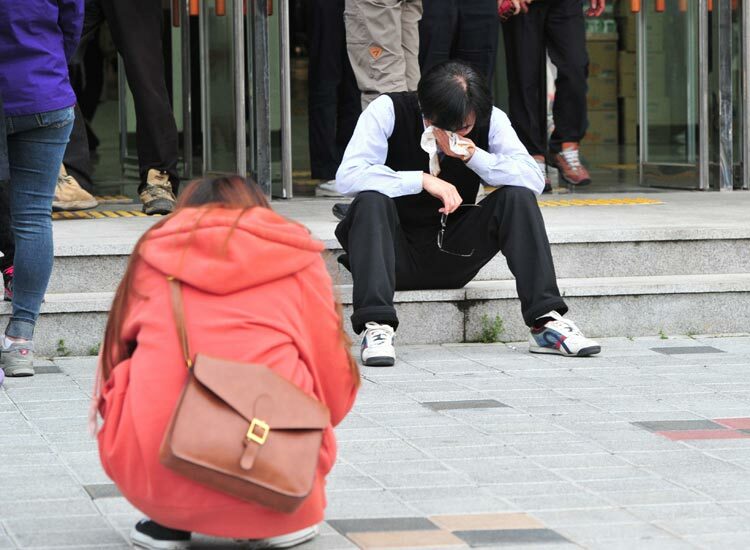 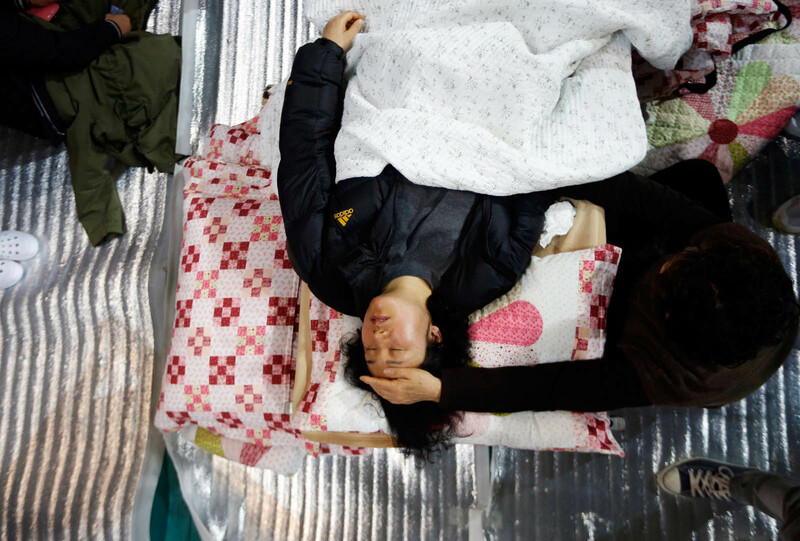 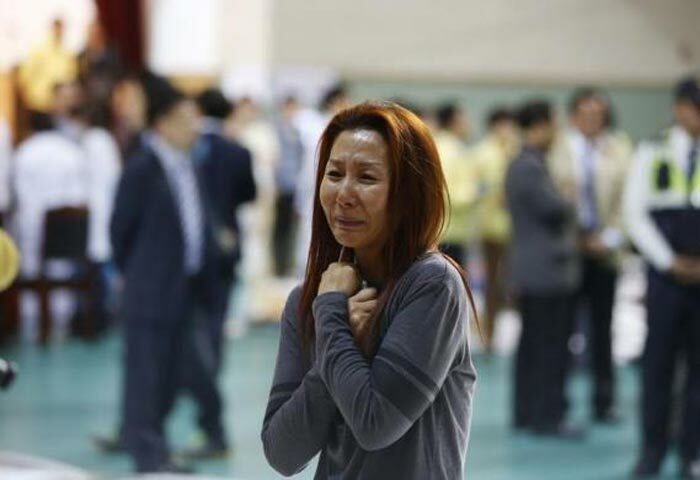 "We are pleading for help to you, the people, as we are infuriated about the government's attitude," the families said in a statement read out by their representative at a gymnasium on Jindo Island, South Jeolla Province. 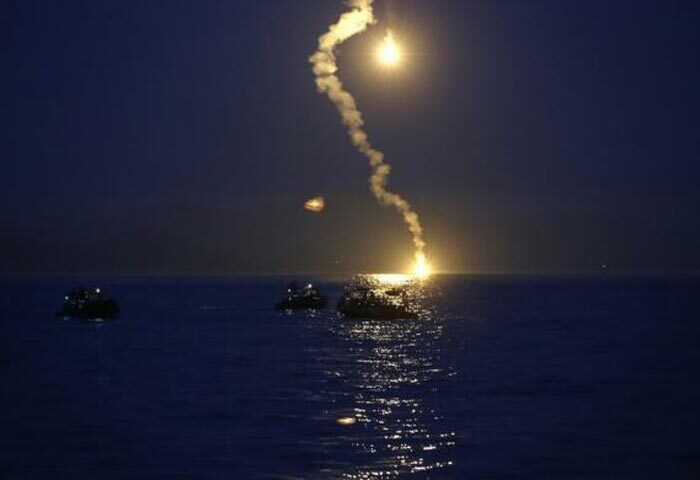 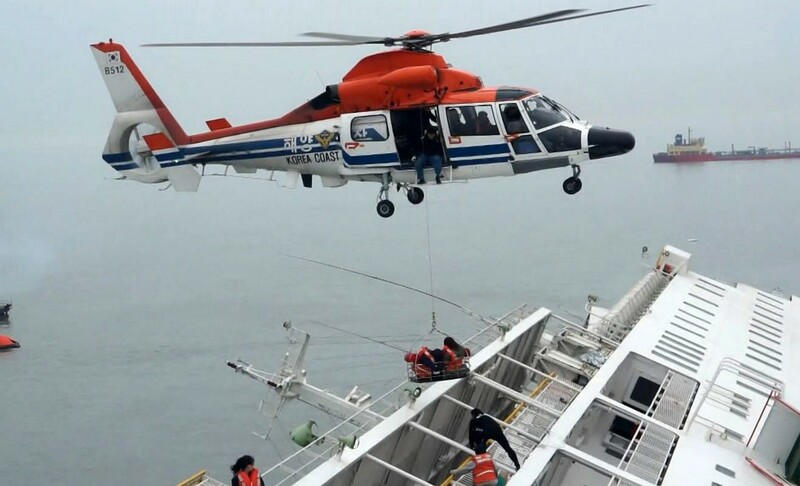 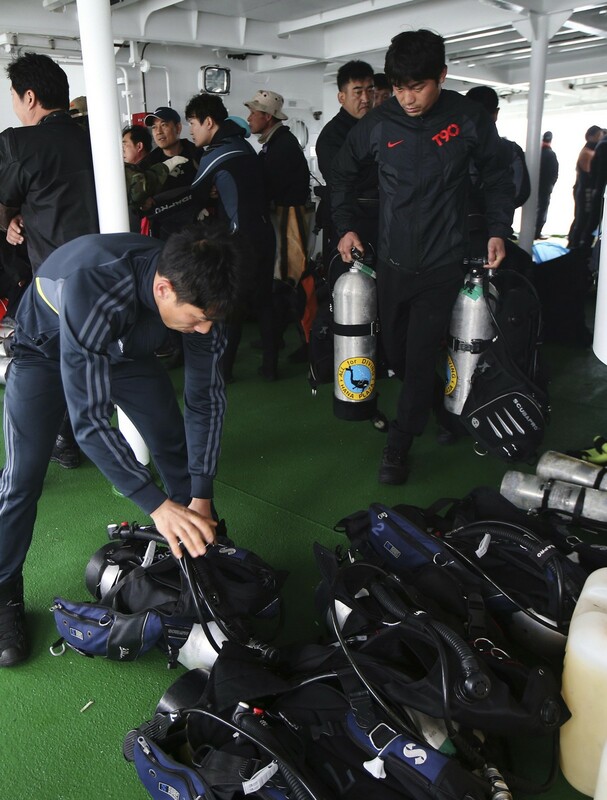 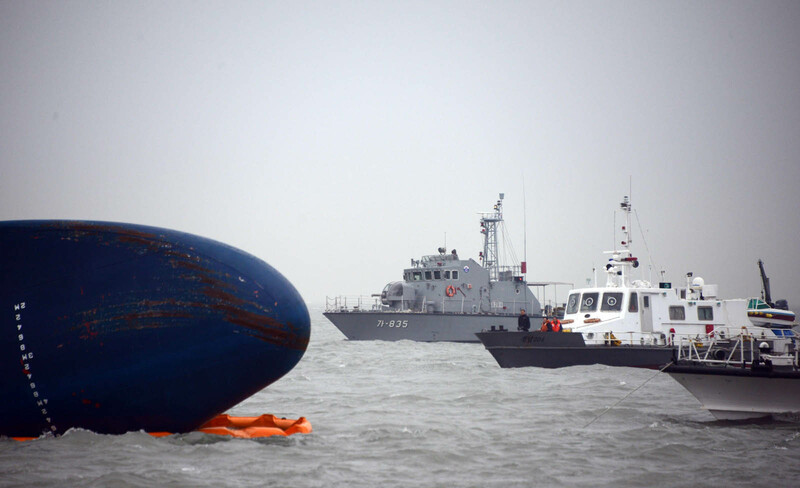 "There is no one explaining to us how the rescue operations are proceeding or directing us on what we should do. 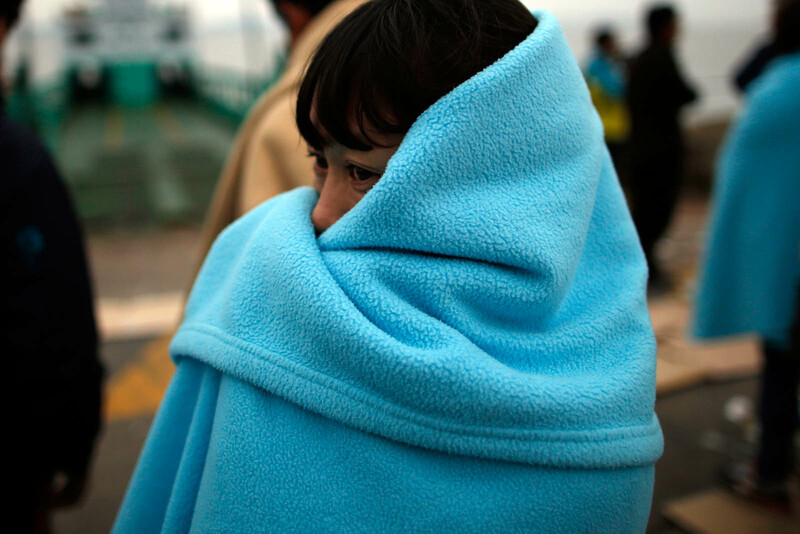 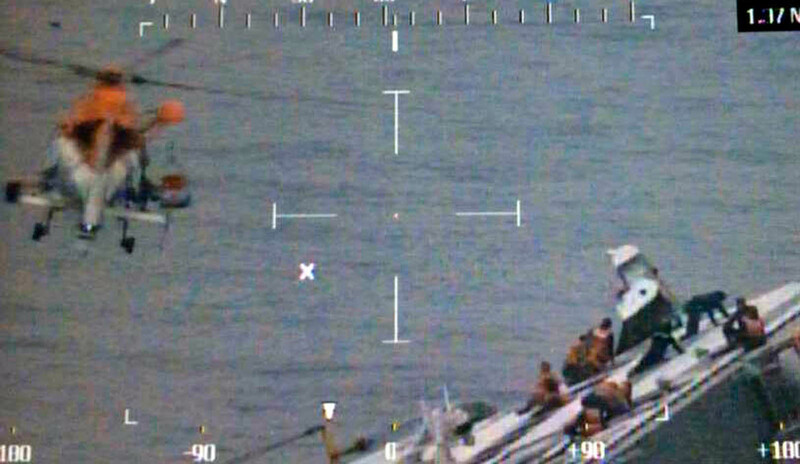 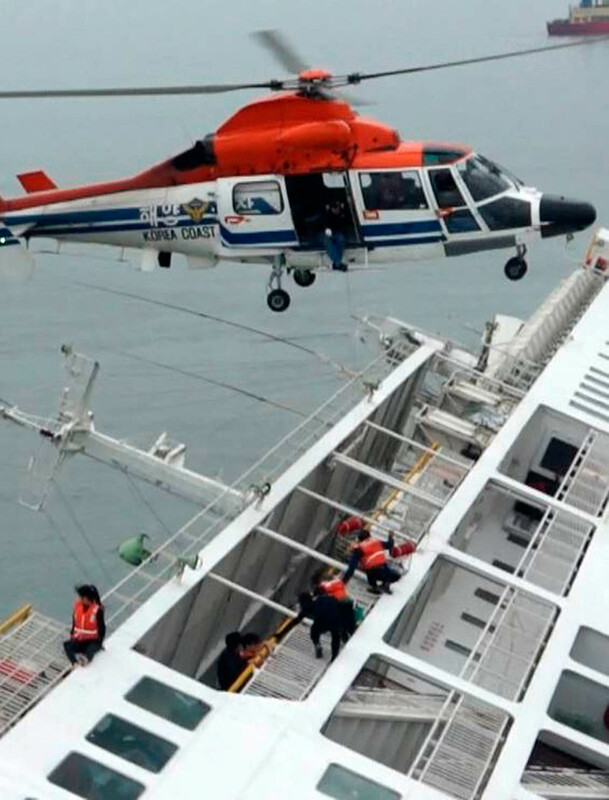 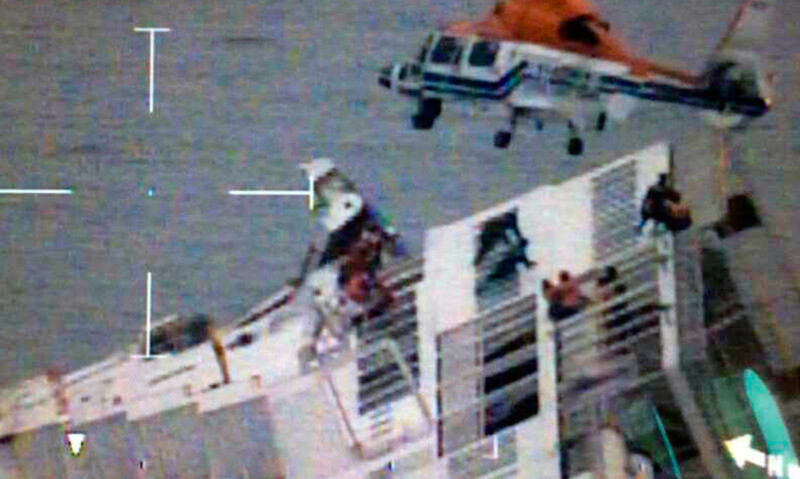 At this moment, our children would be screaming for help inside the ship." 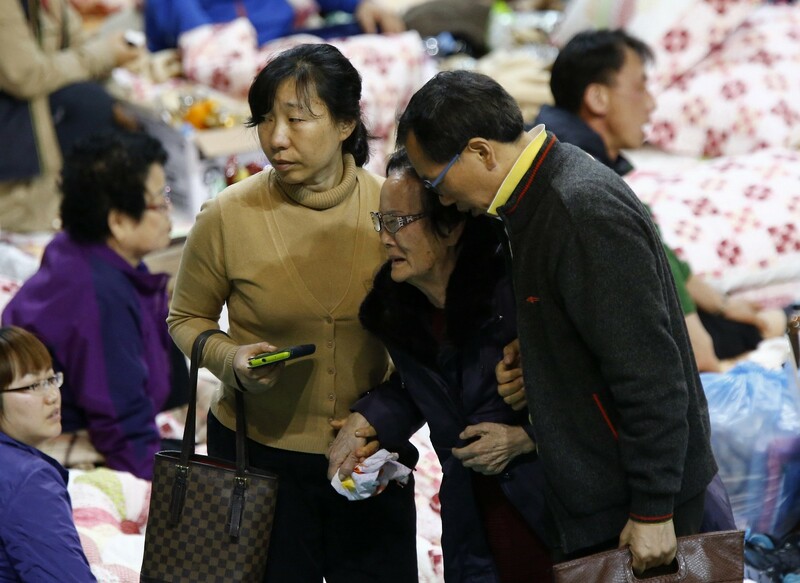 "Although our children were dying, there were no rescue efforts. 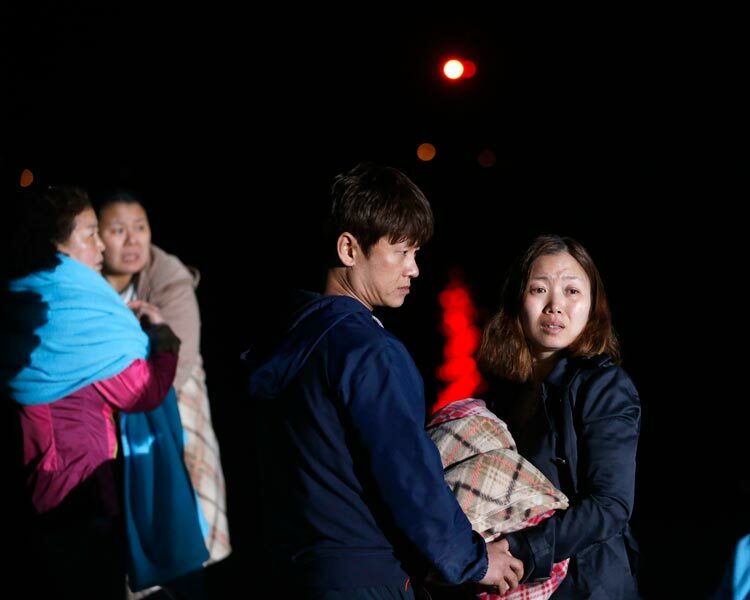 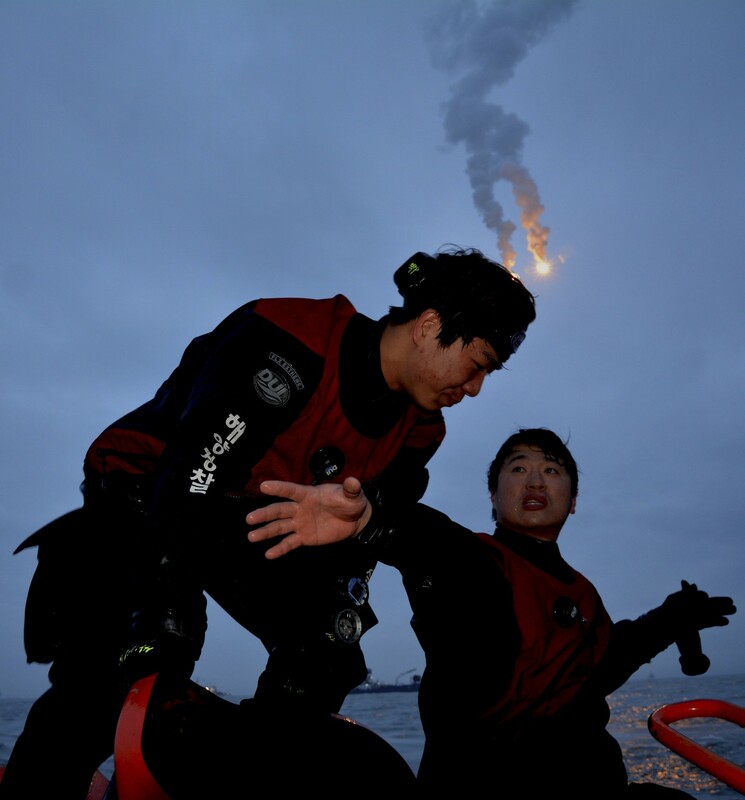 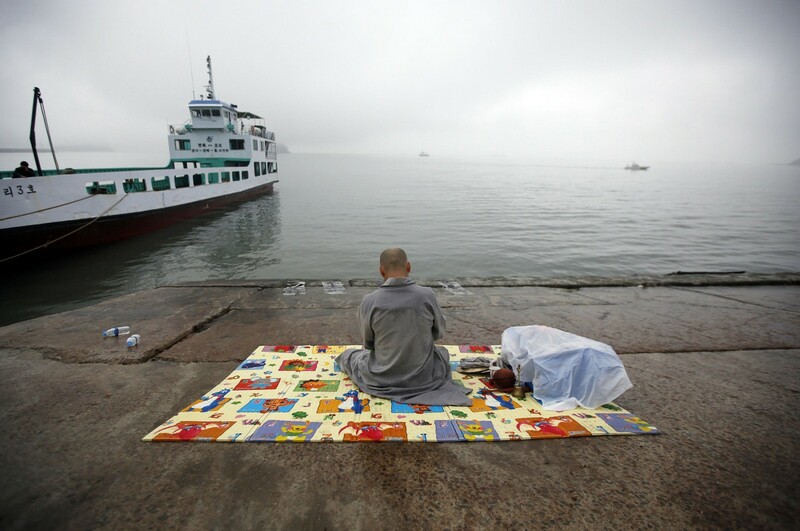 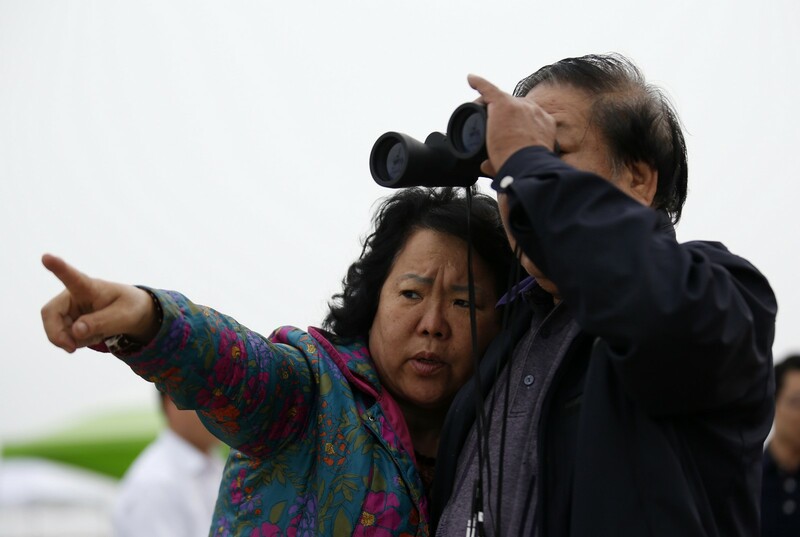 They said they would do it later, but they made excuses, arguing tidal currents were too strong, and that their own safety would be threatened," the families said. 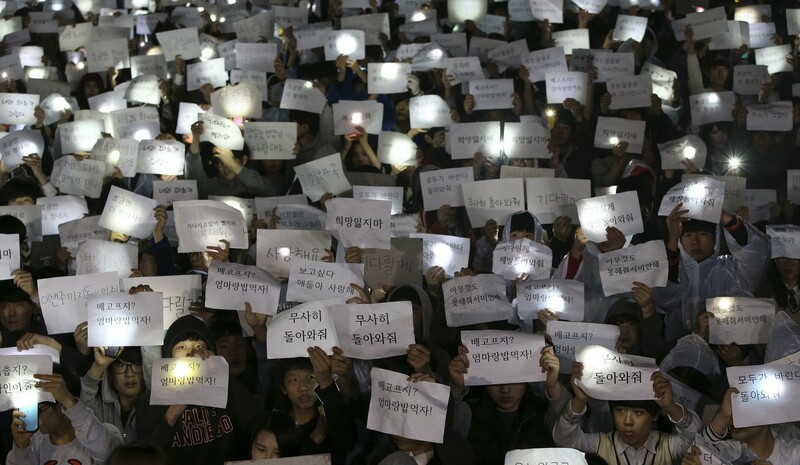 "Citizens, this is the truth, reality of the Republic of Korea. 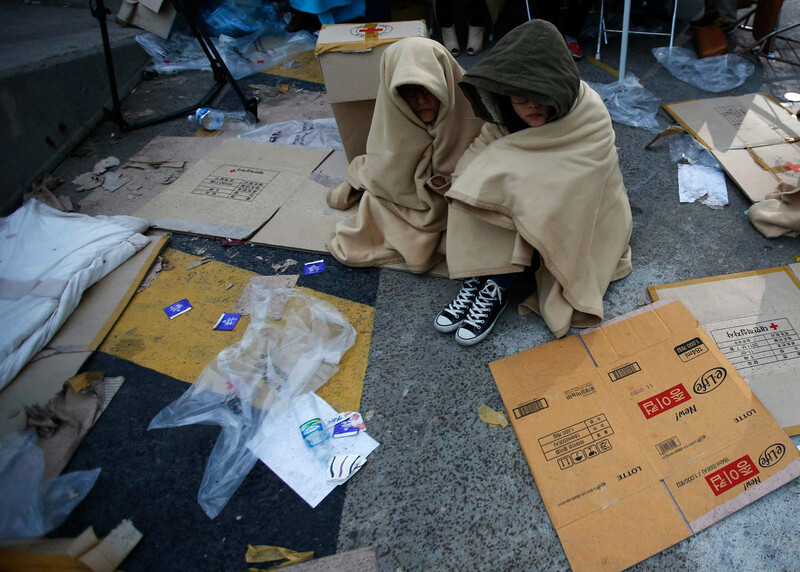 Please help save our children!"